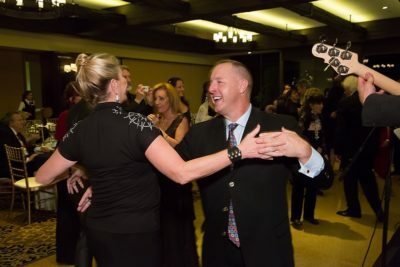 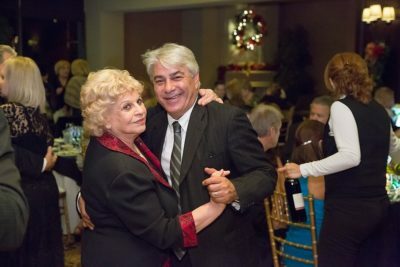 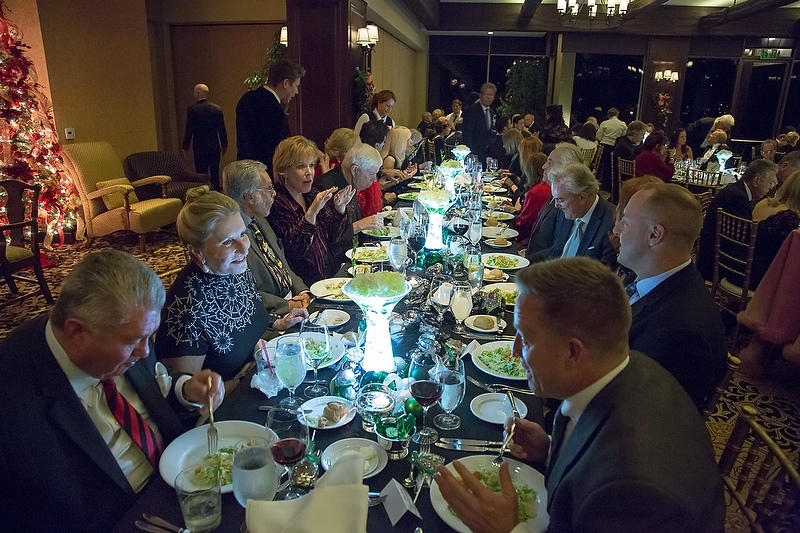 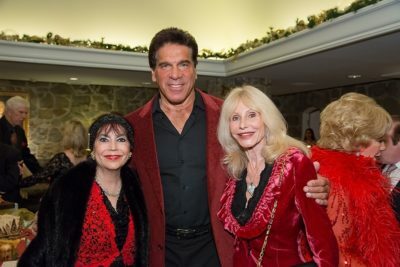 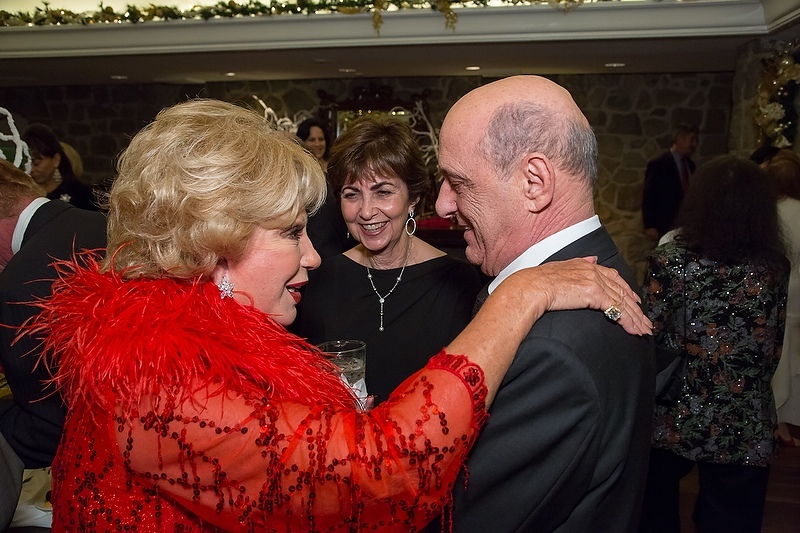 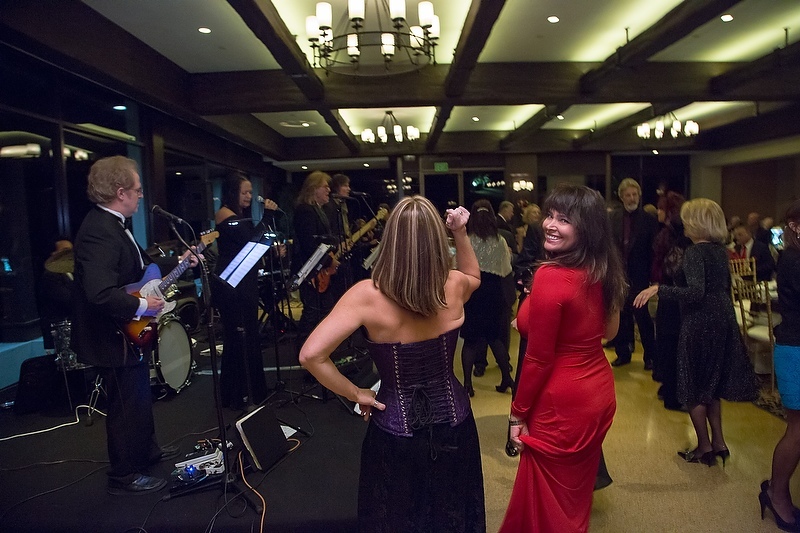 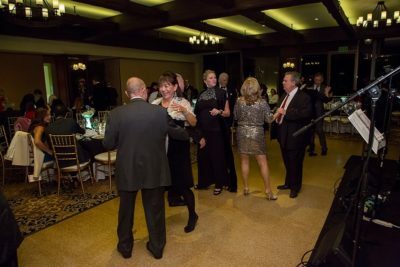 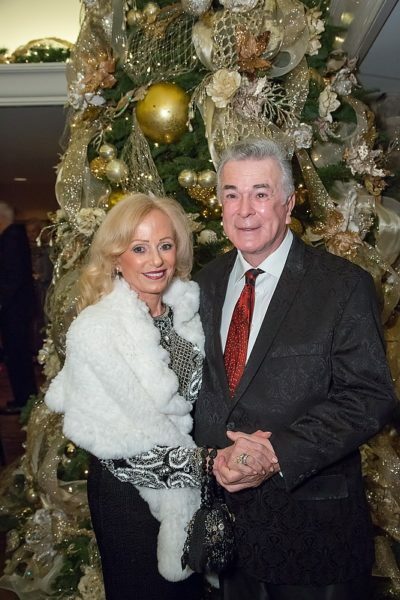 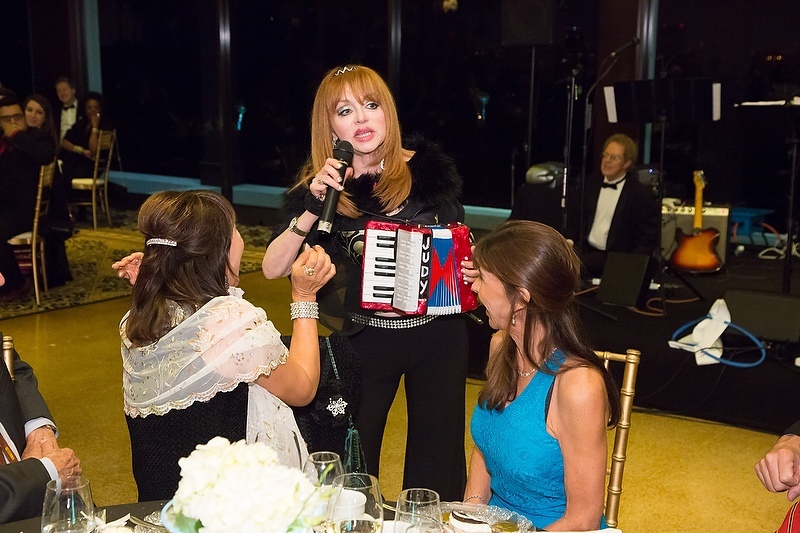 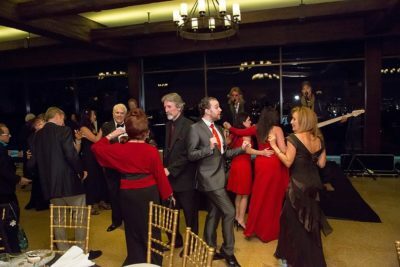 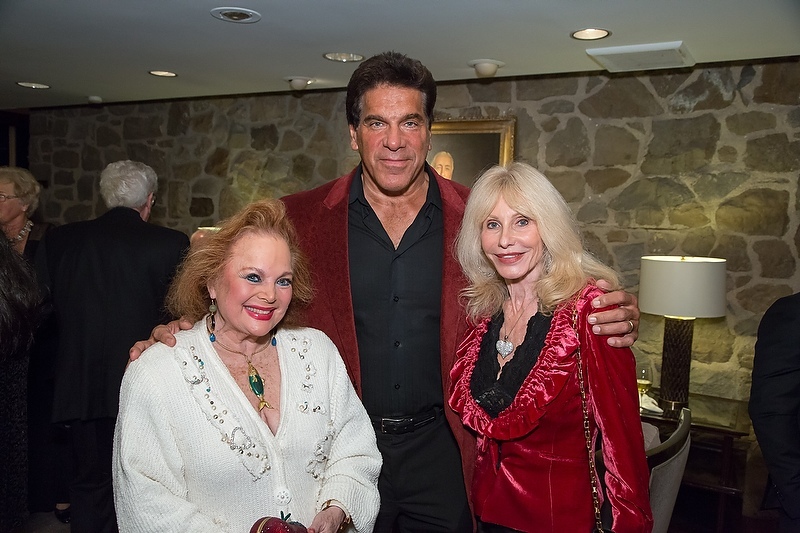 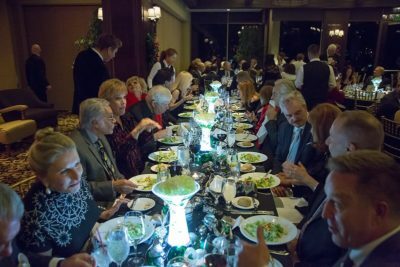 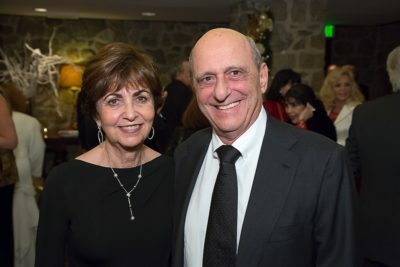 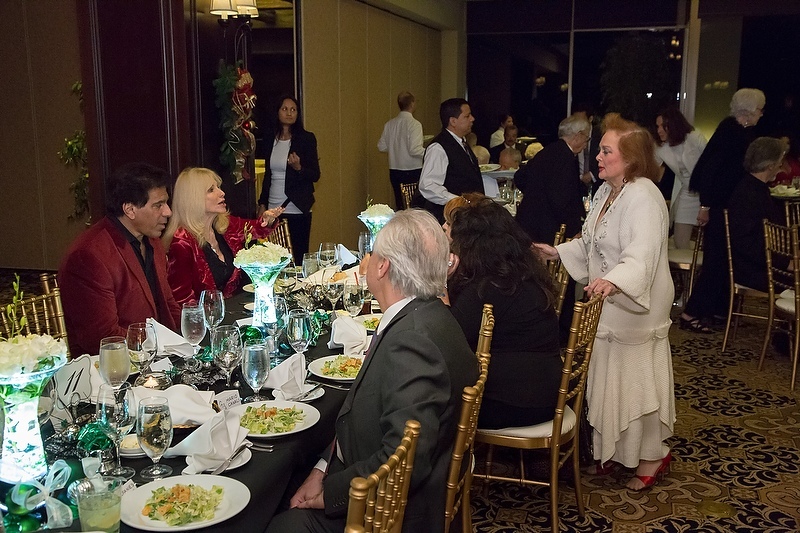 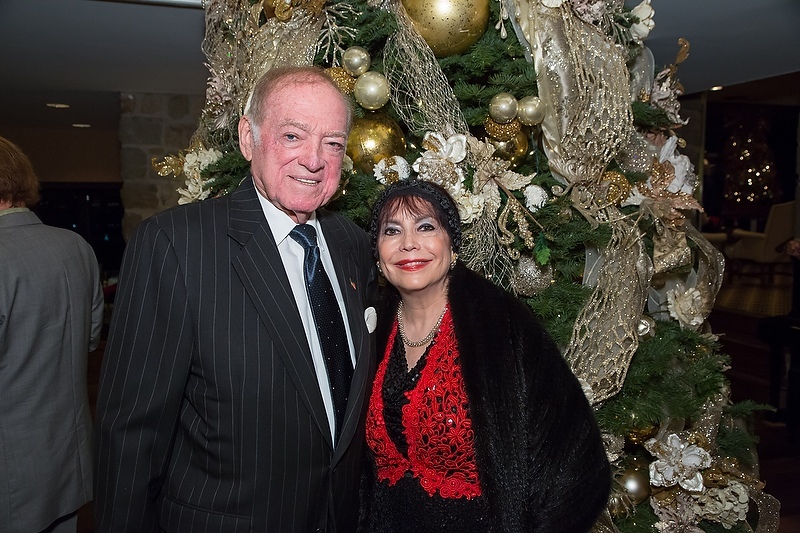 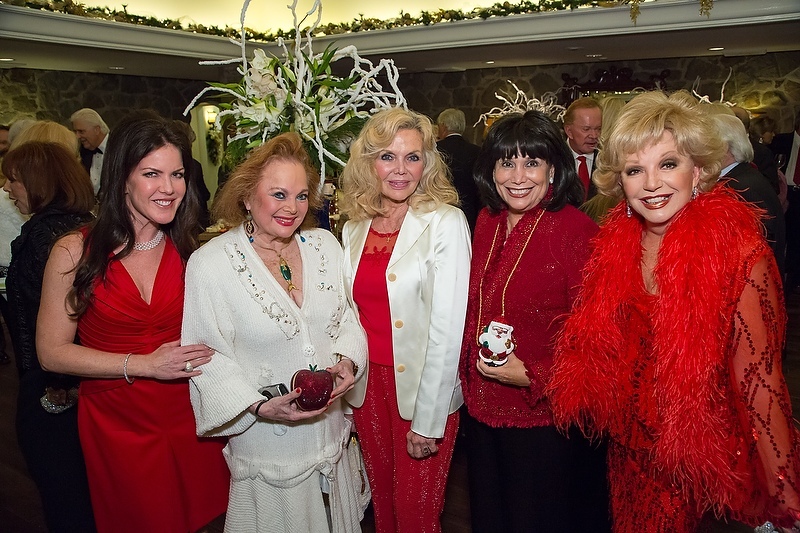 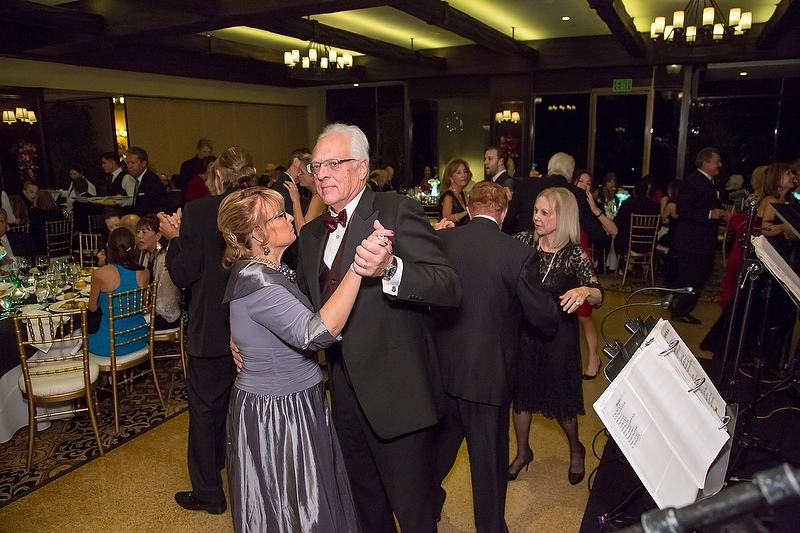 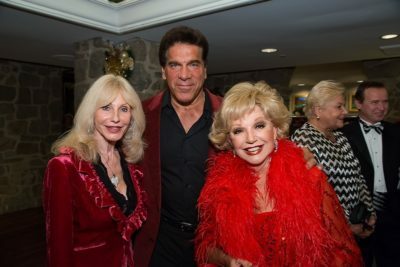 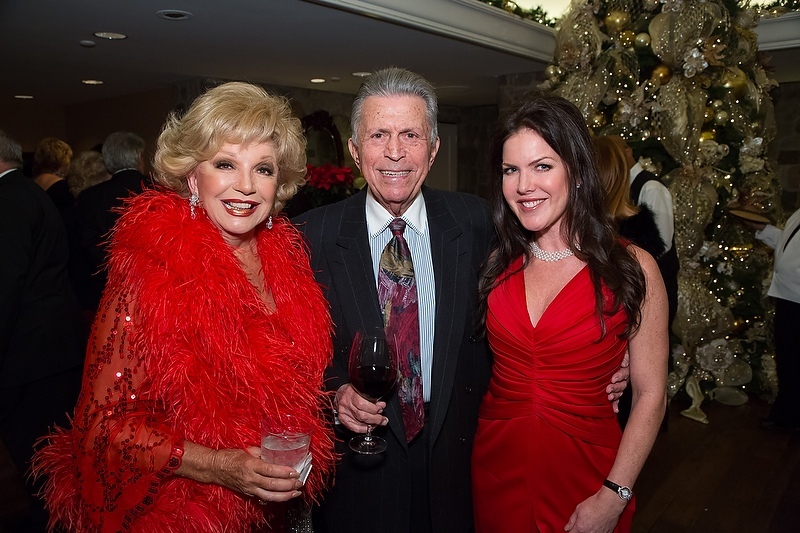 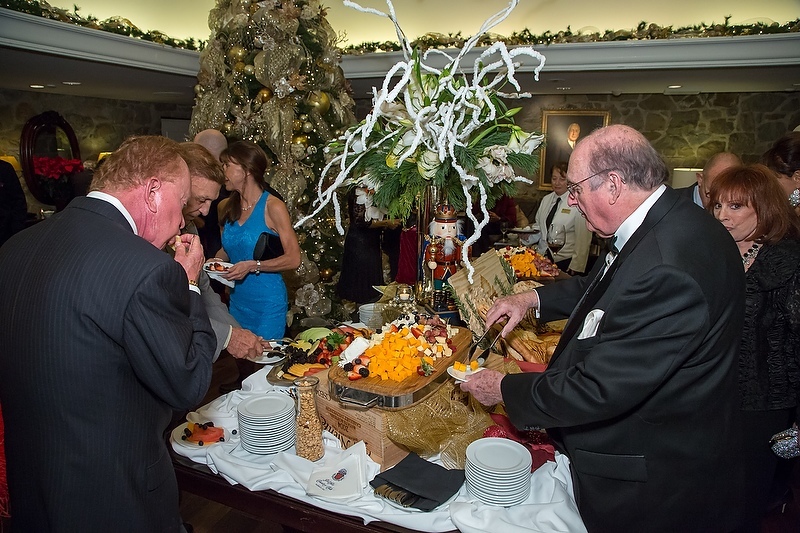 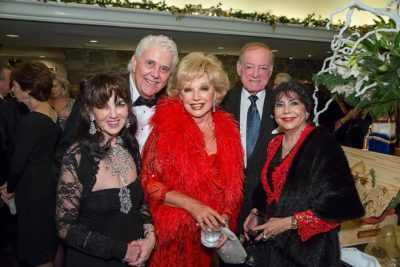 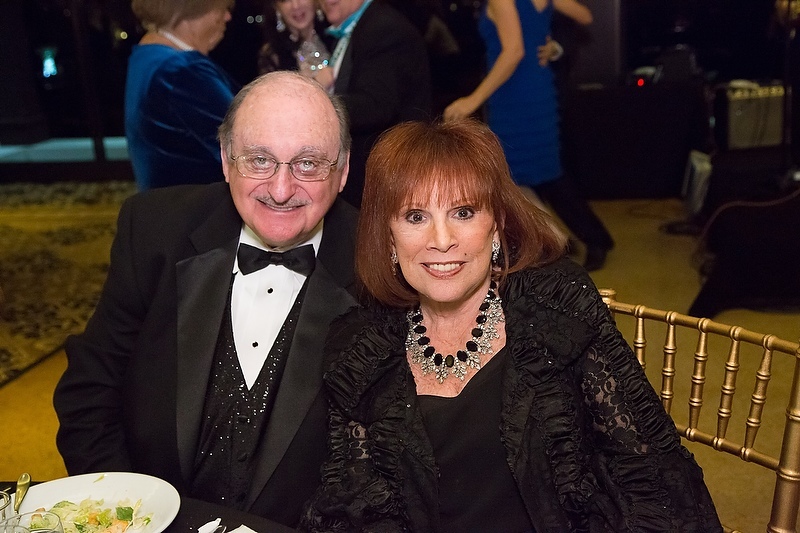 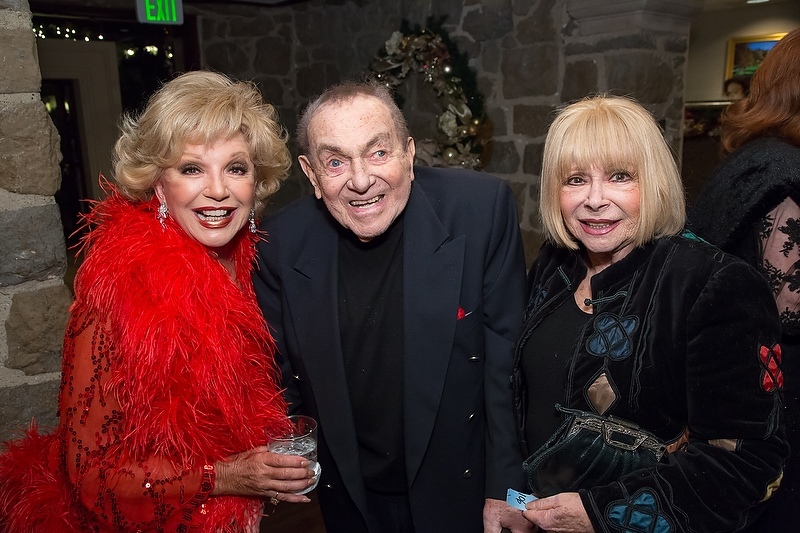 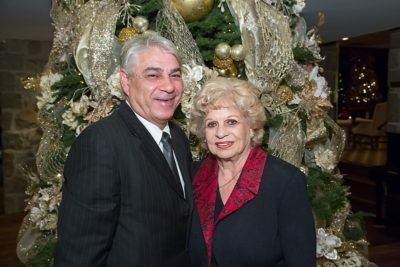 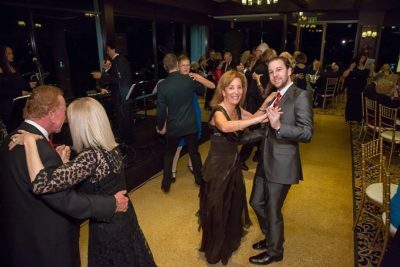 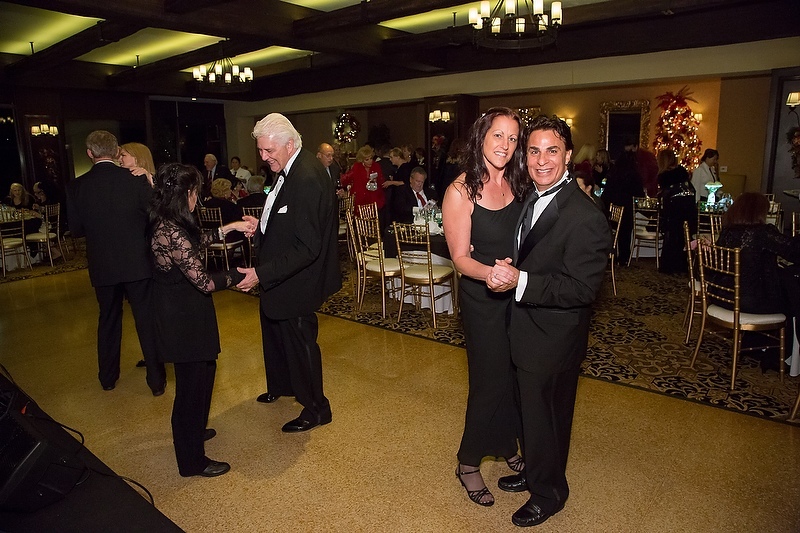 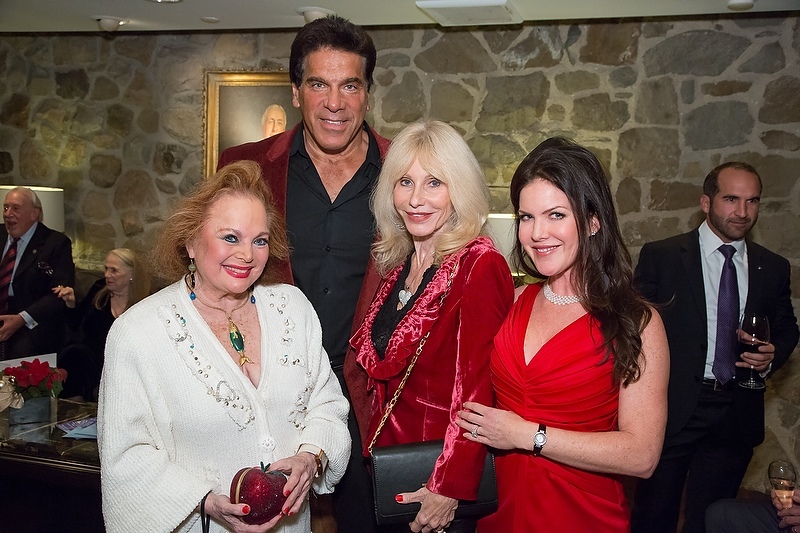 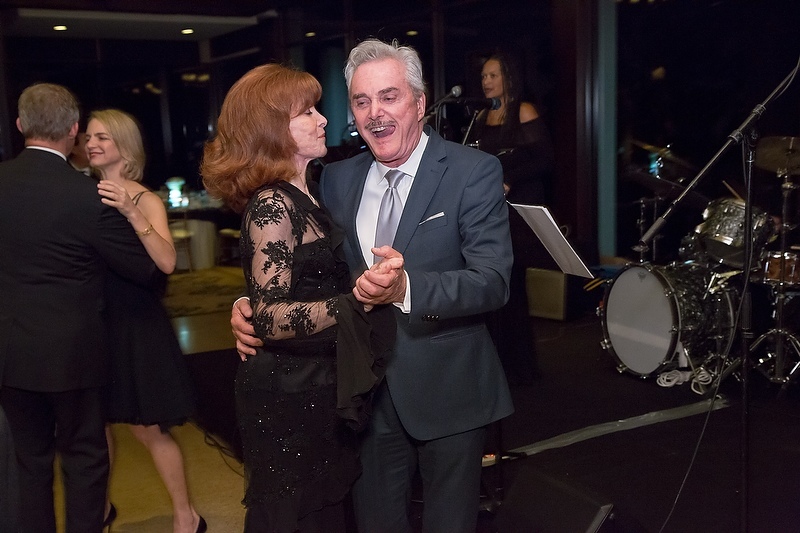 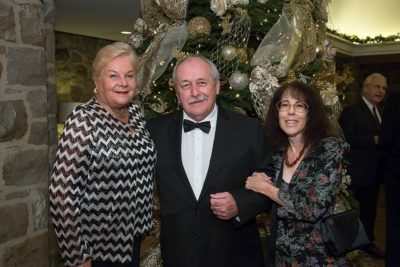 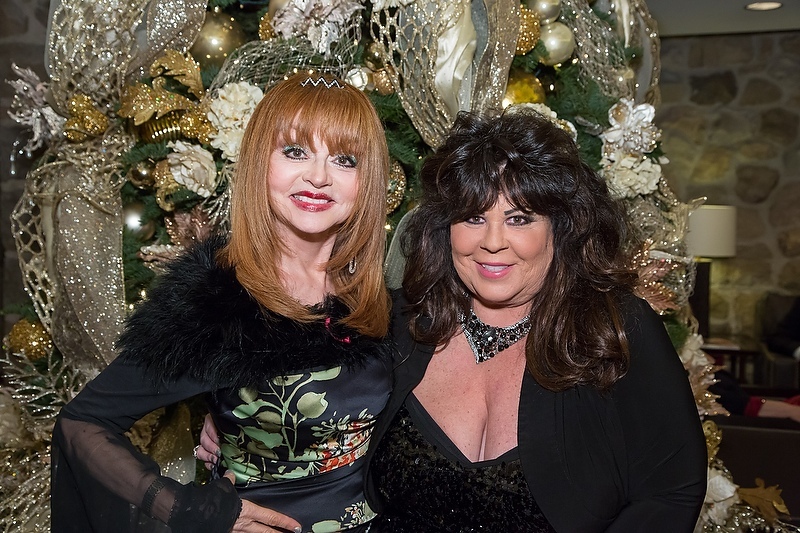 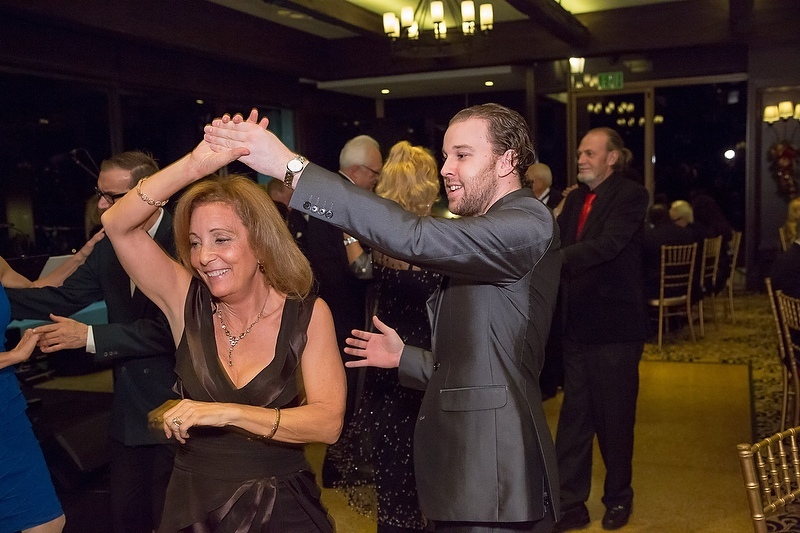 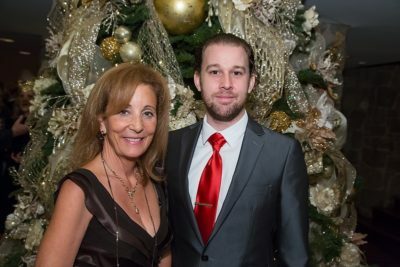 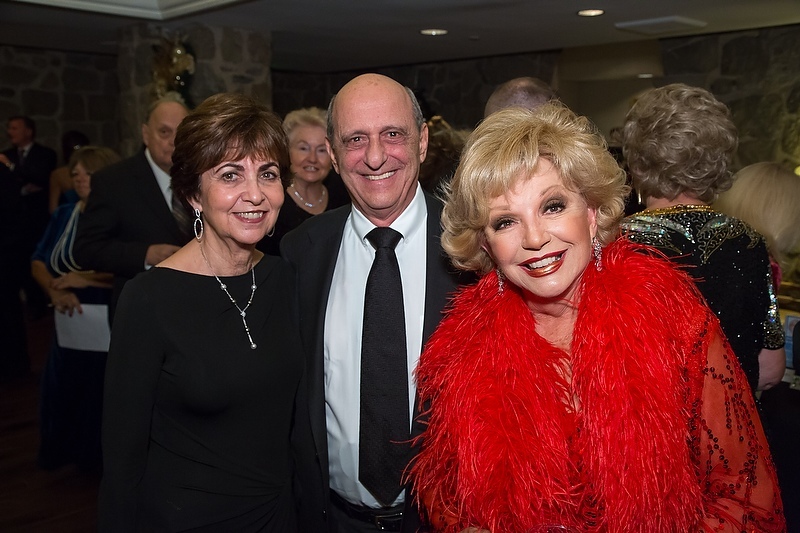 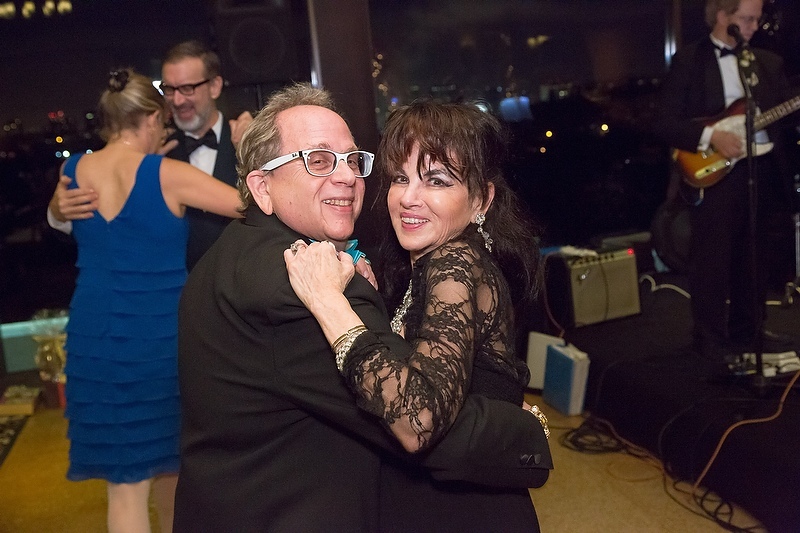 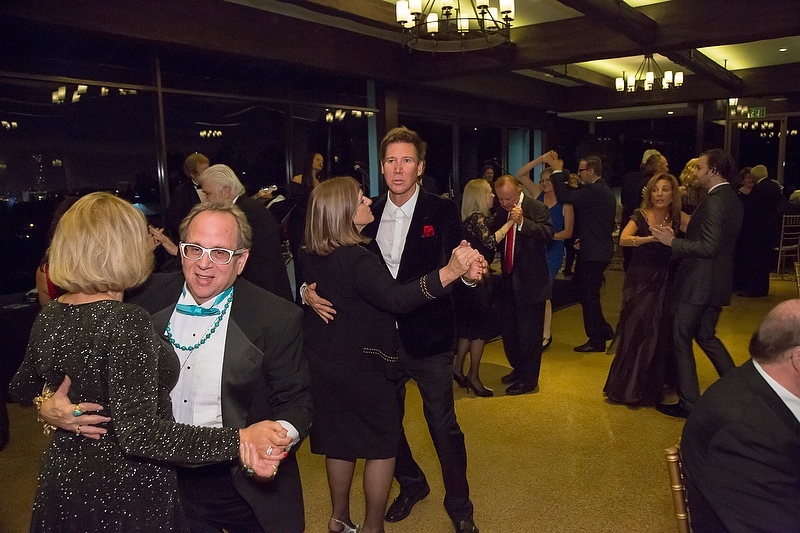 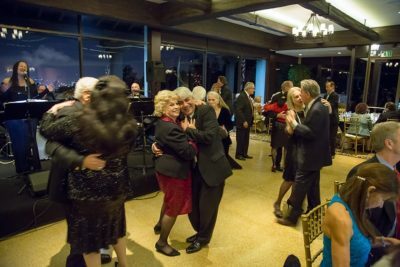 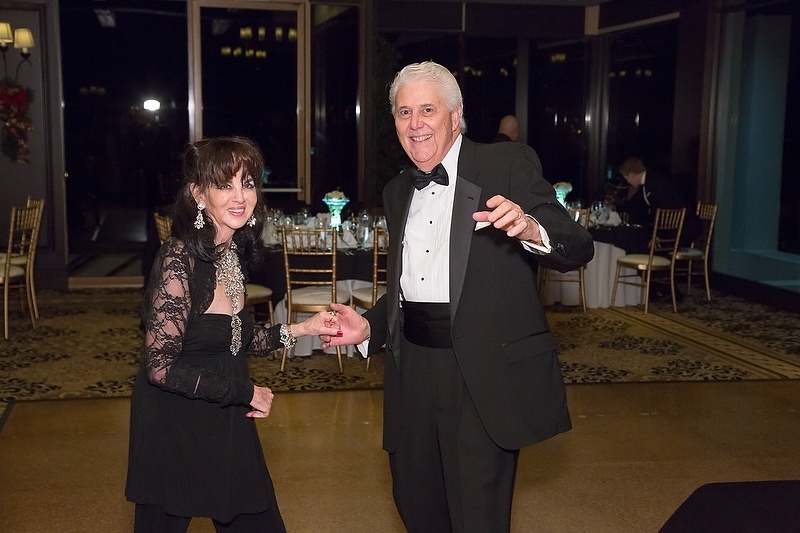 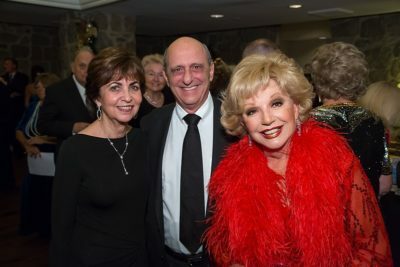 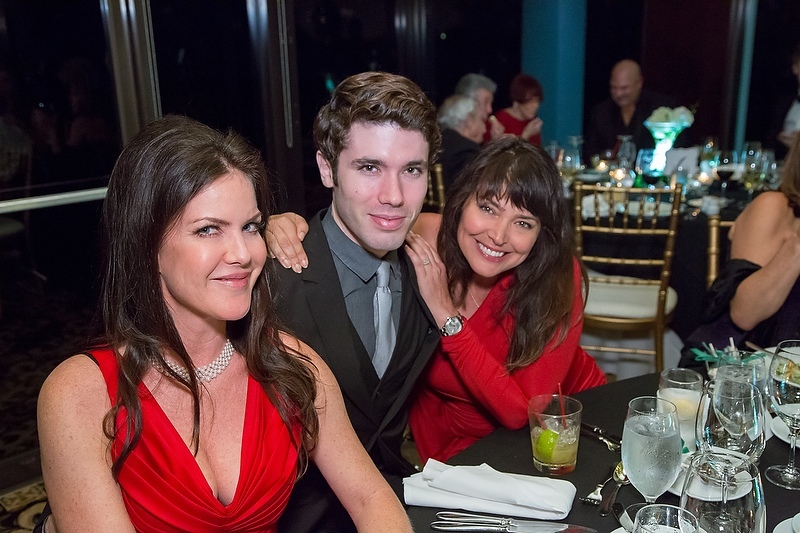 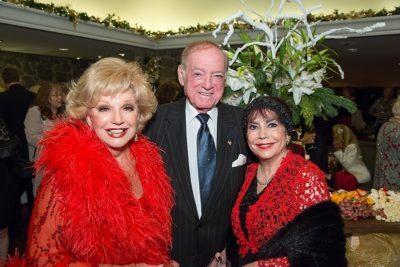 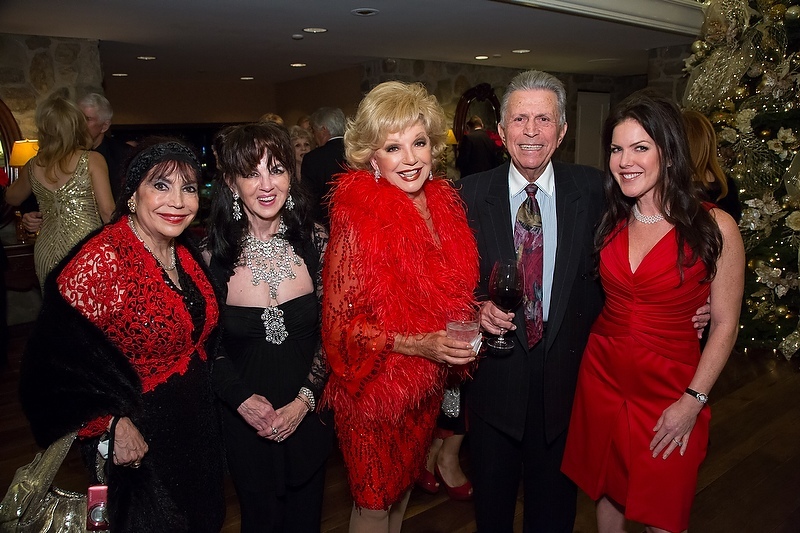 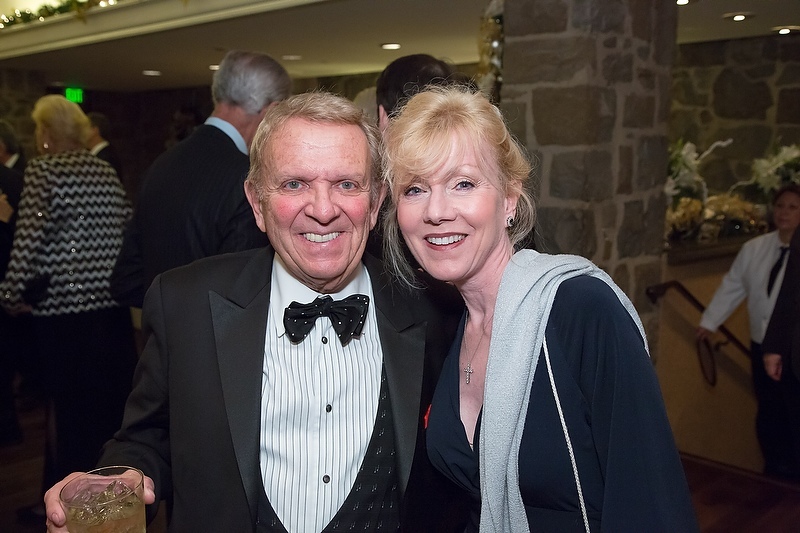 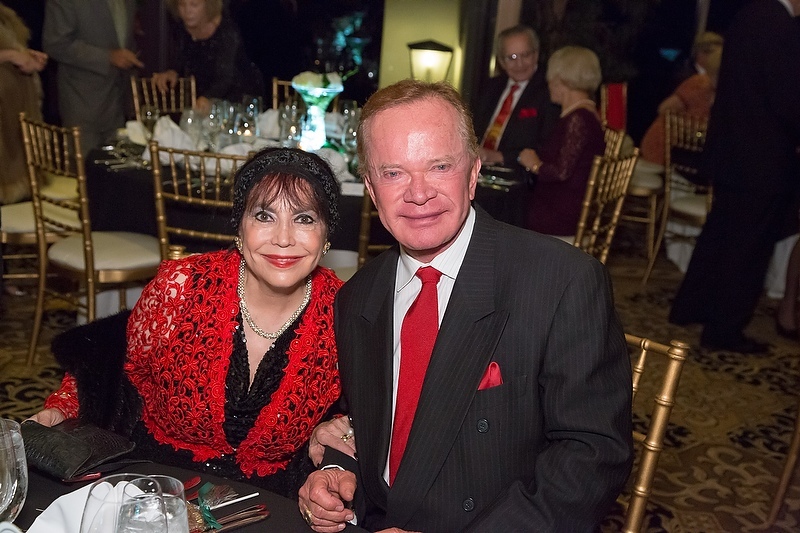 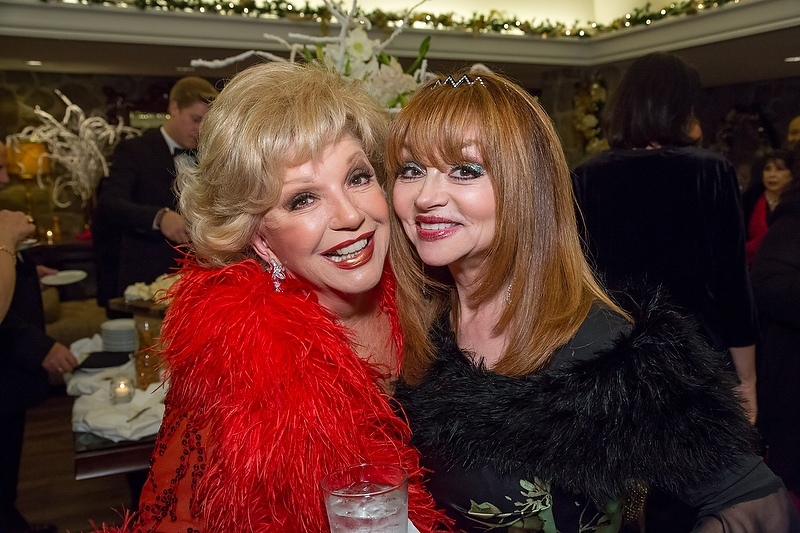 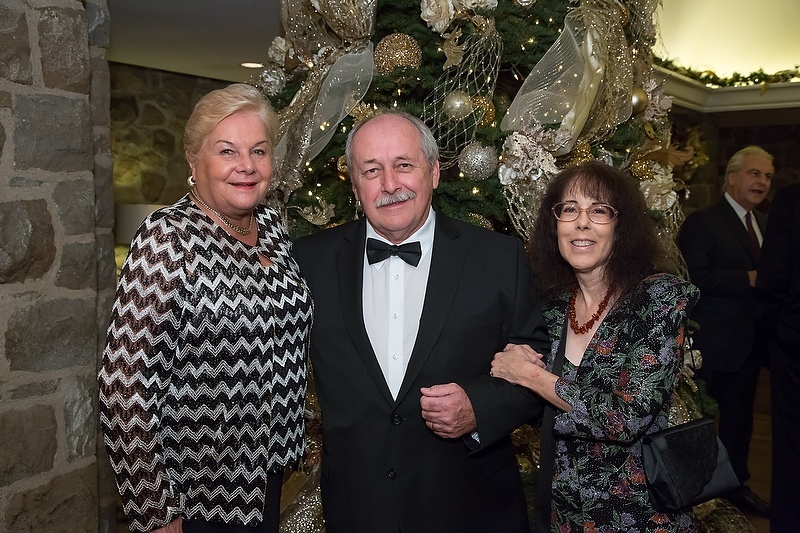 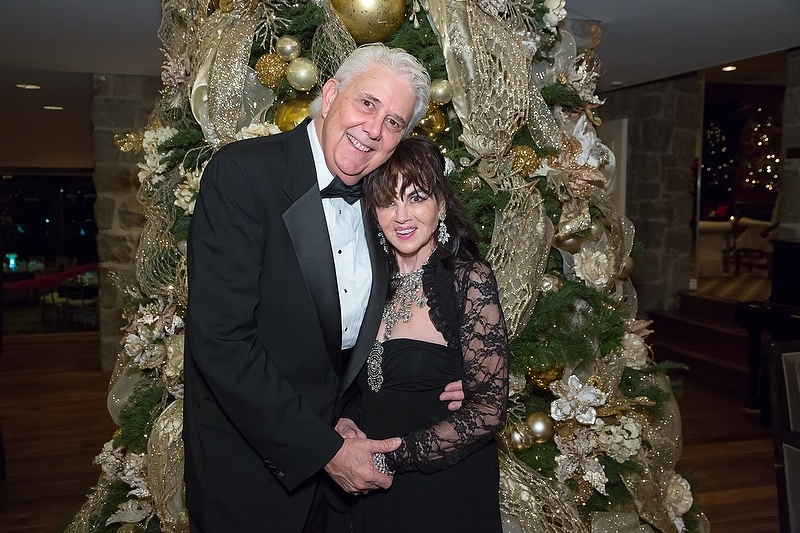 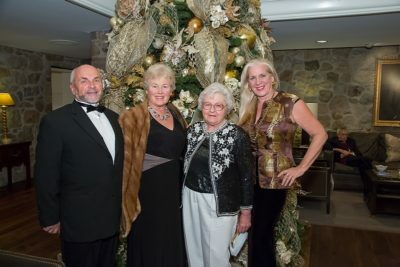 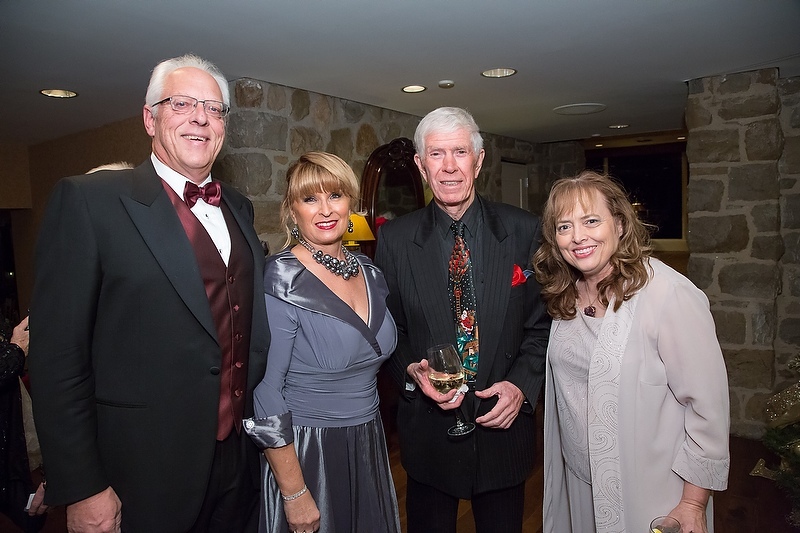 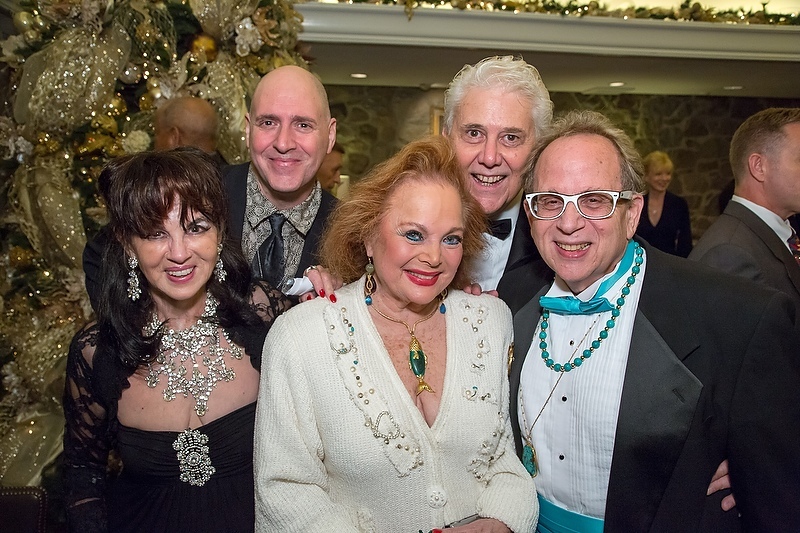 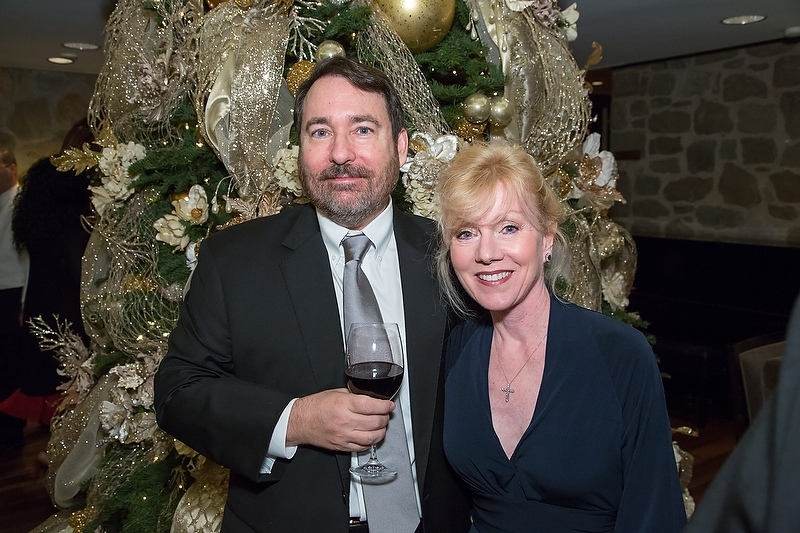 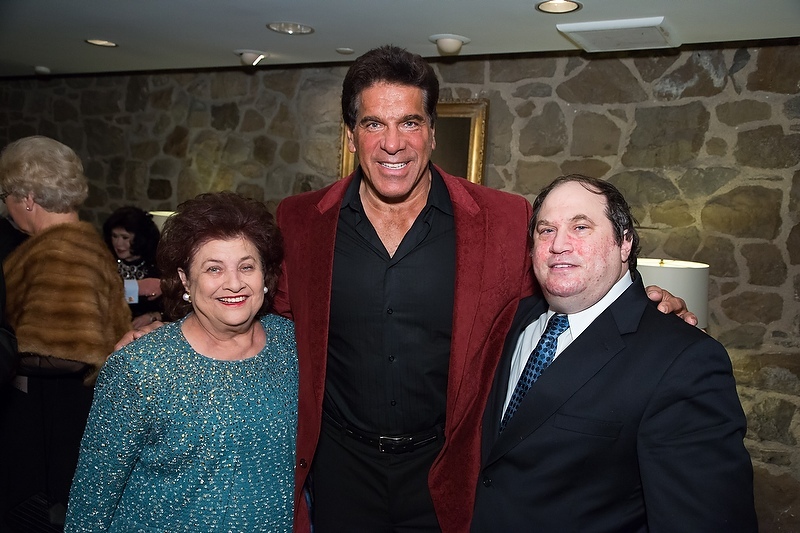 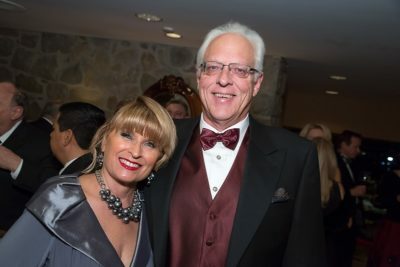 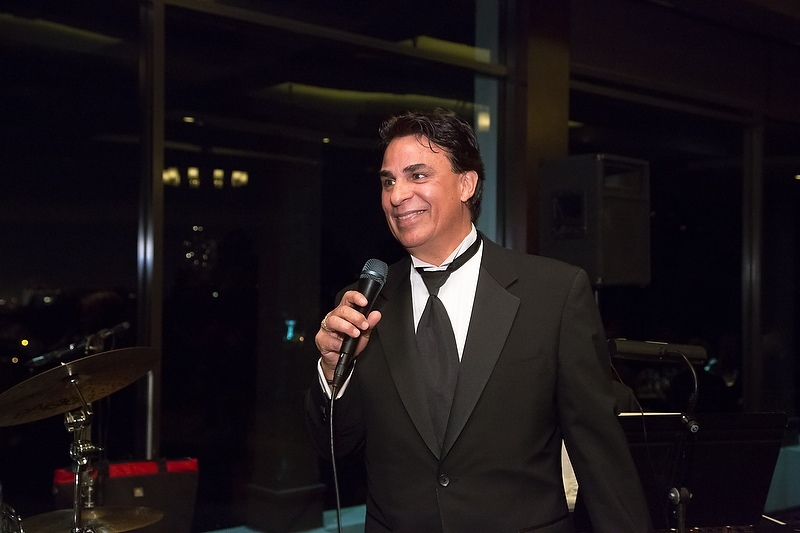 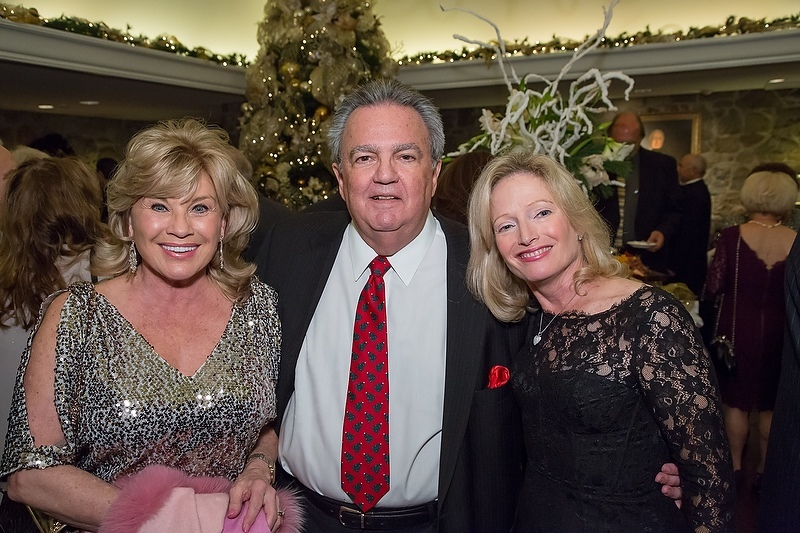 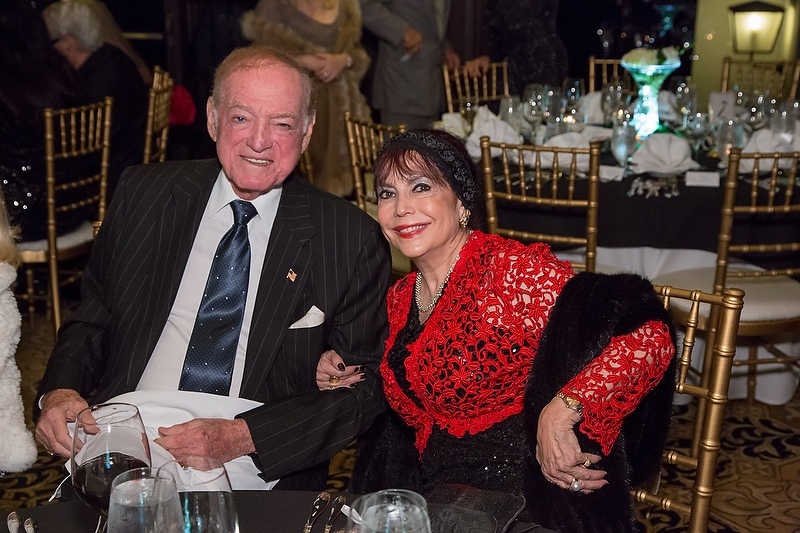 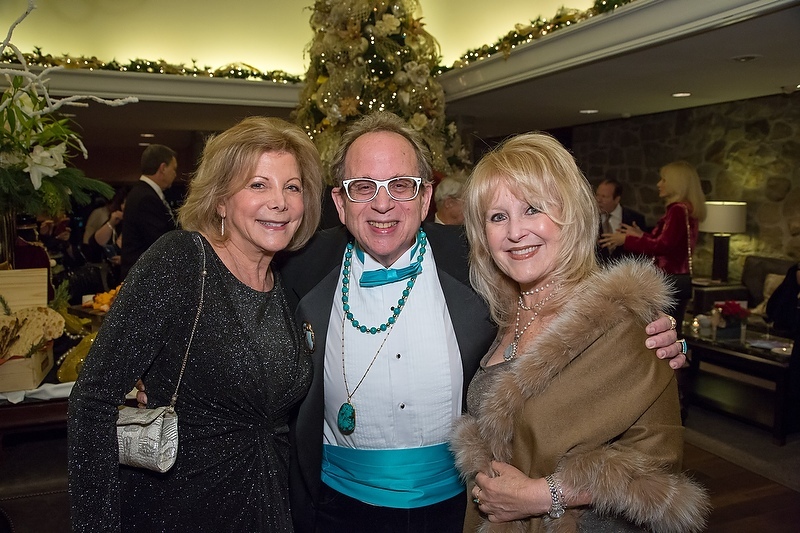 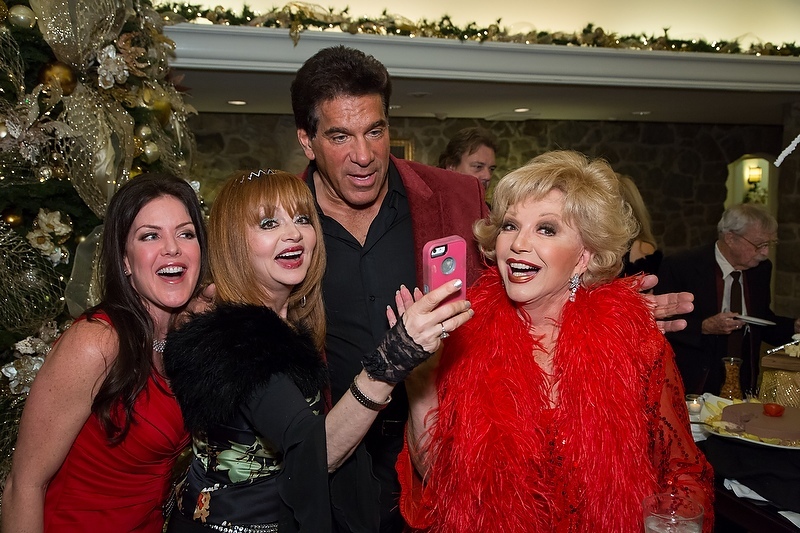 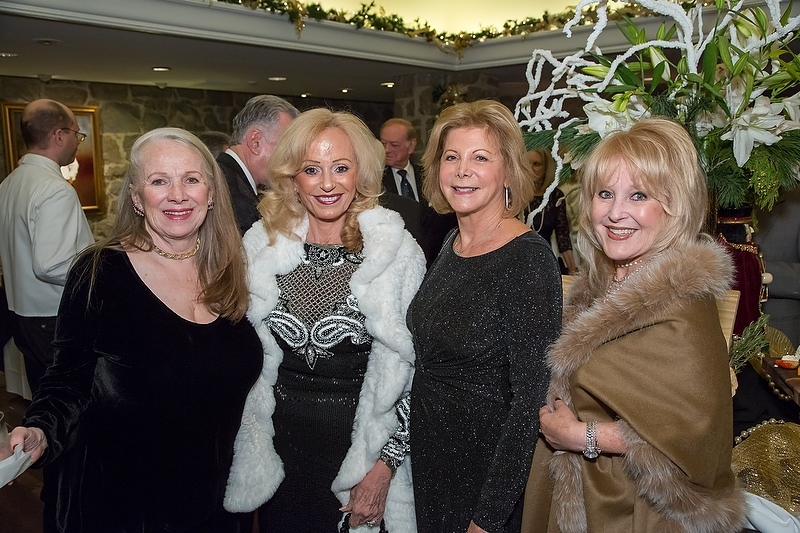 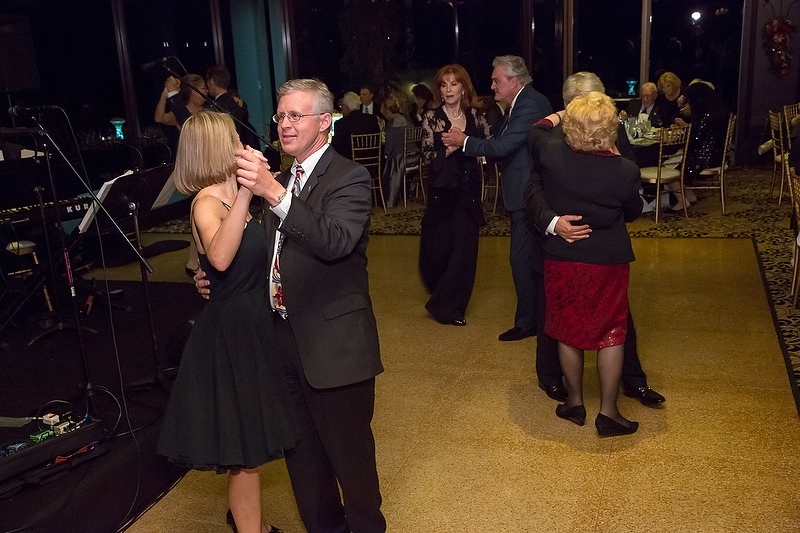 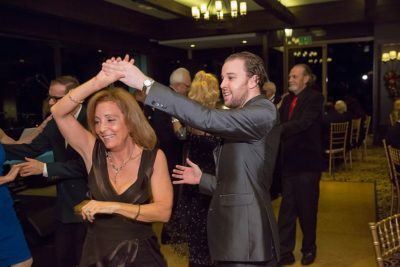 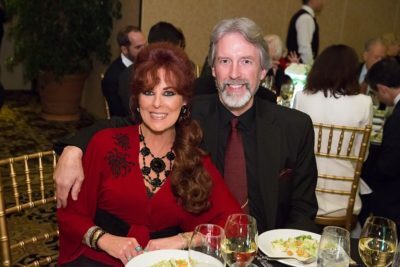 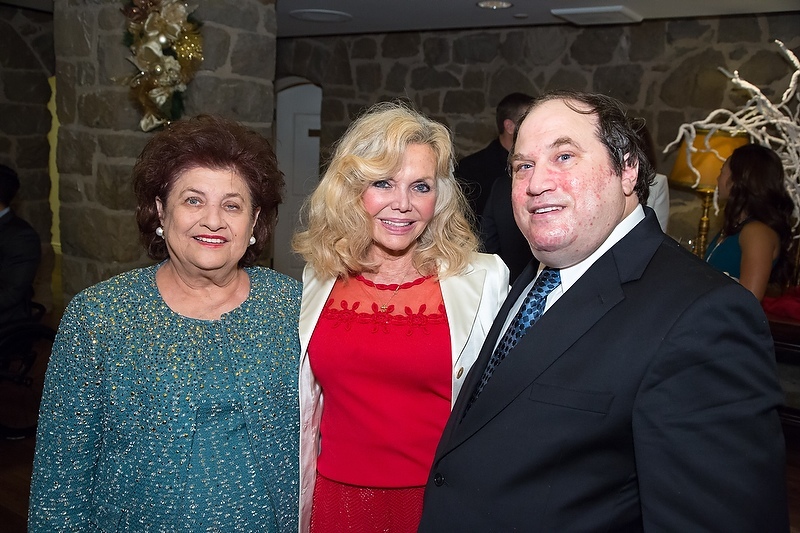 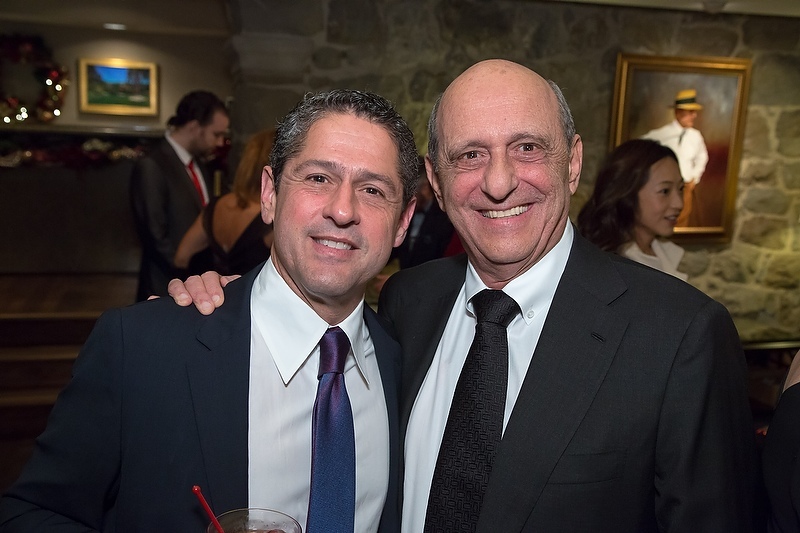 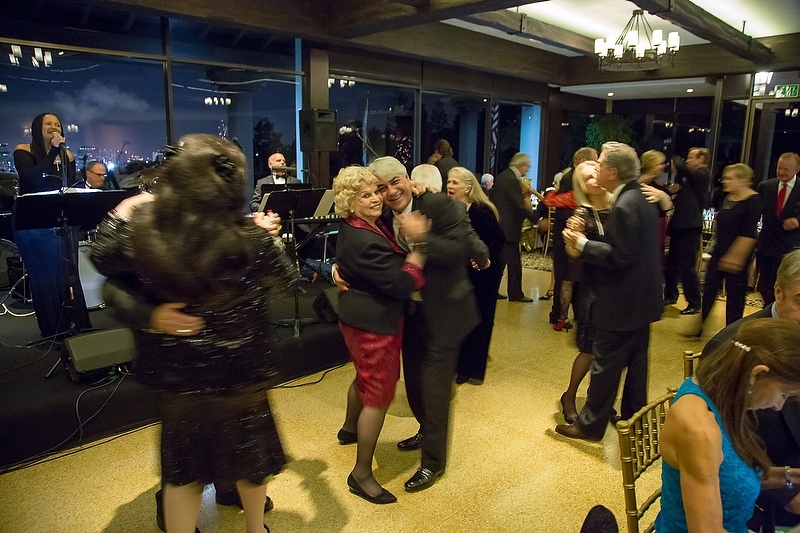 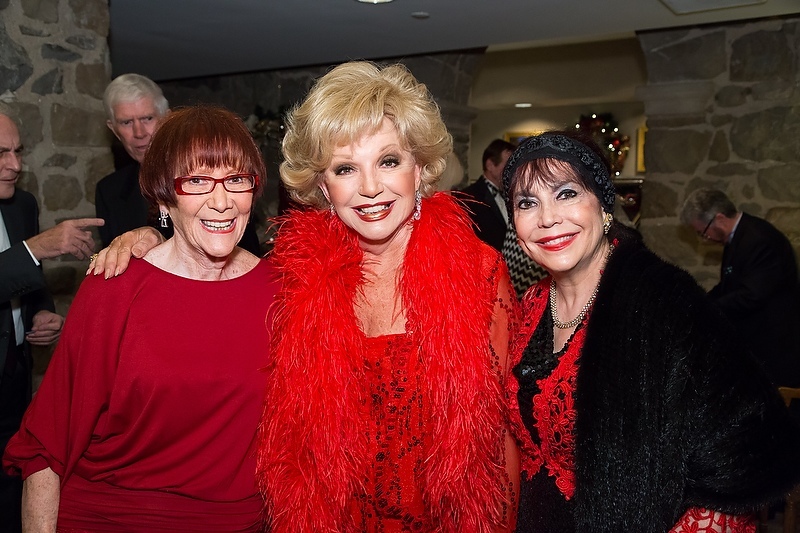 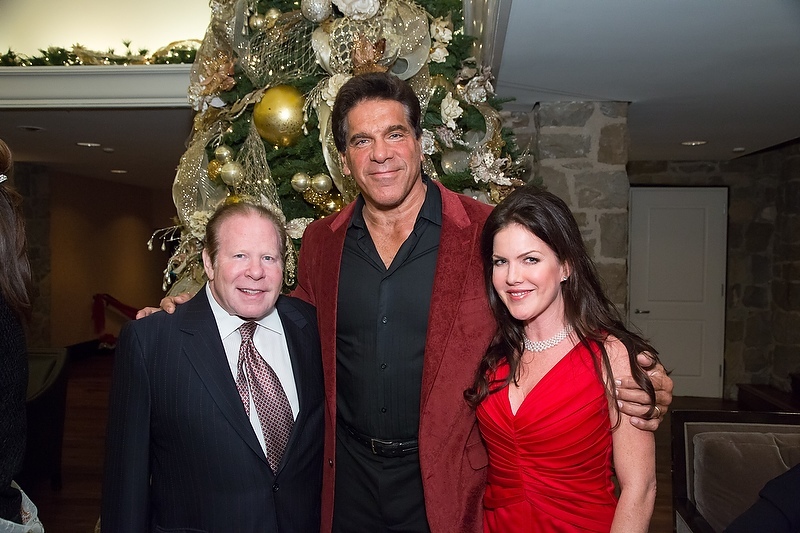 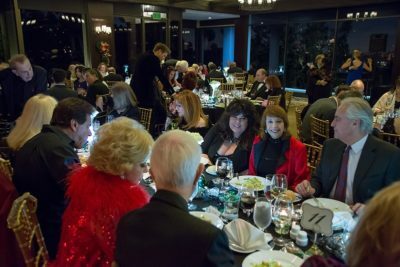 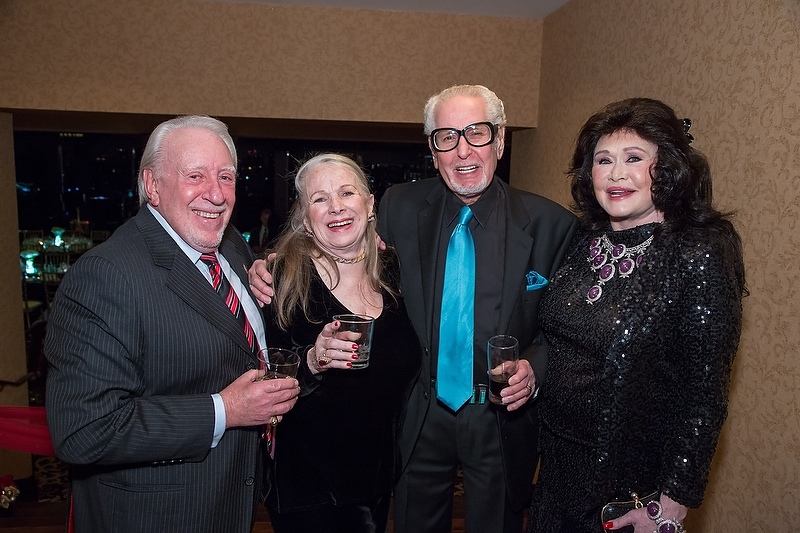 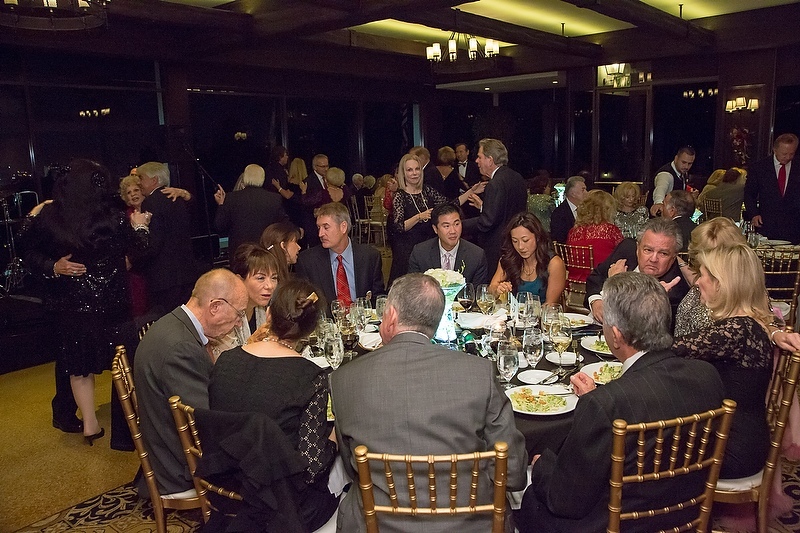 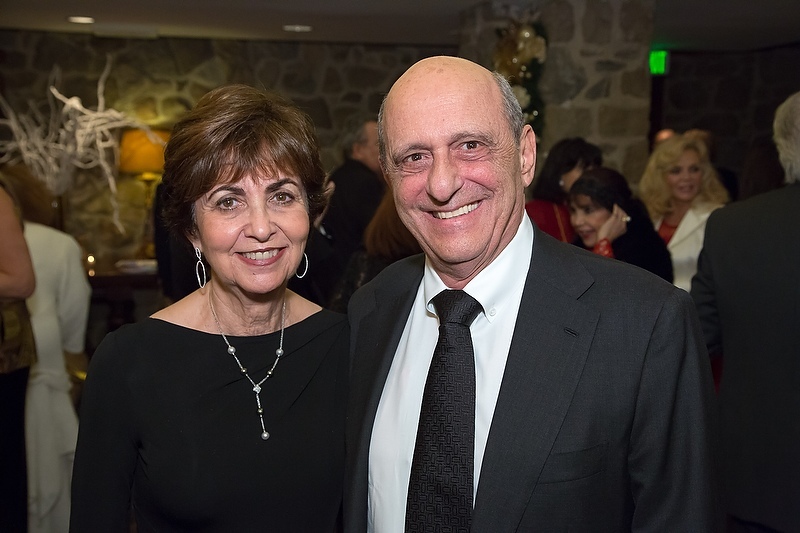 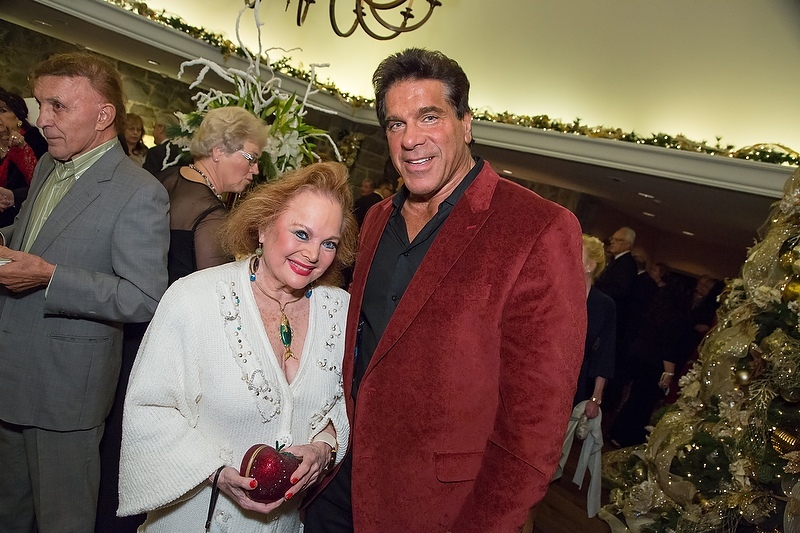 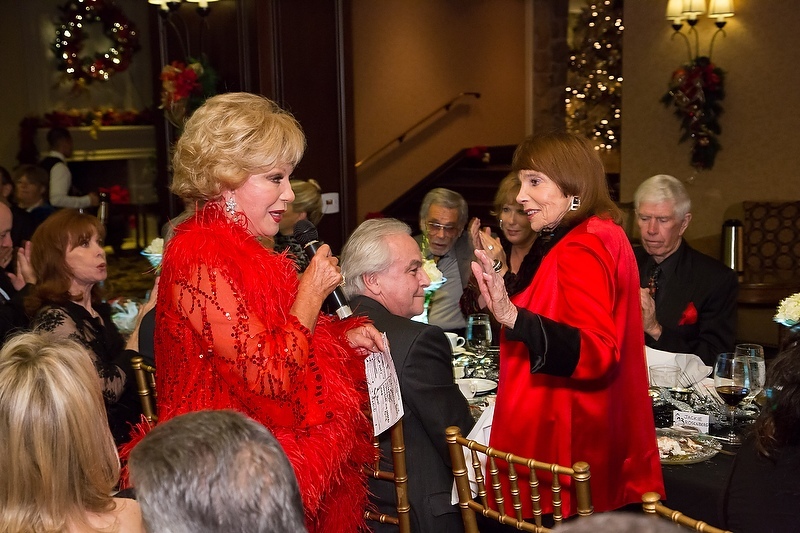 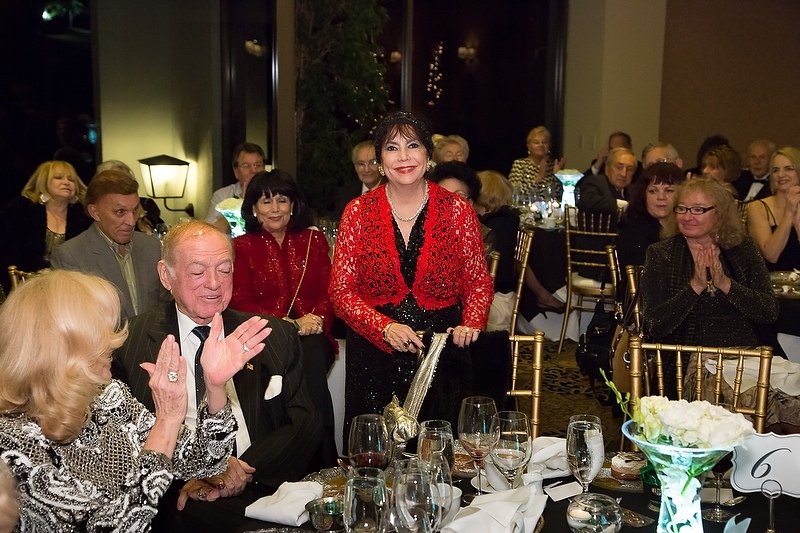 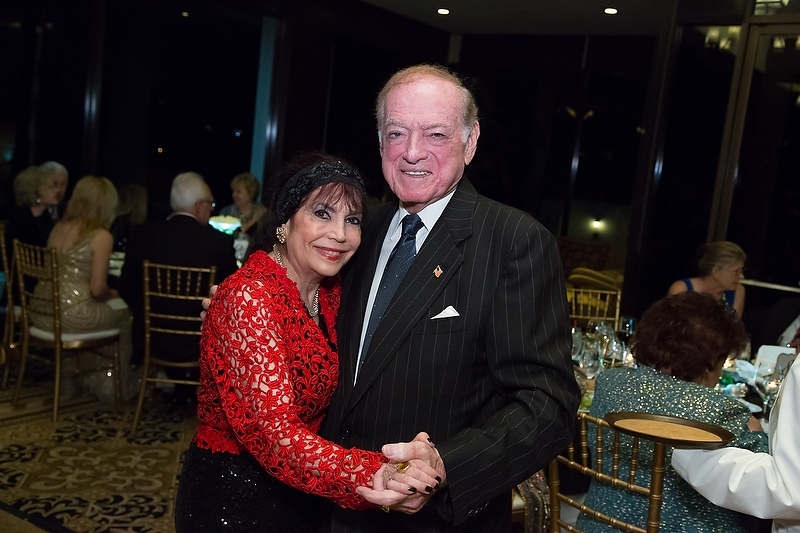 The Thalians Elegant Holiday Dinner Dance was held at the beautiful Bel-Air Country Club on Saturday, Friday, December 6, 2014. 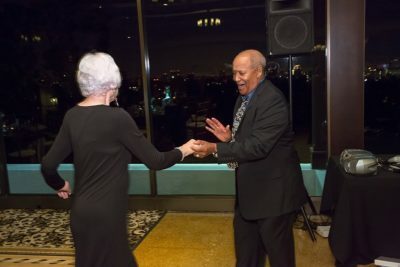 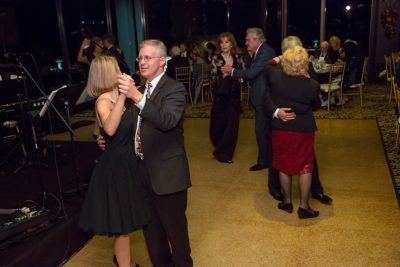 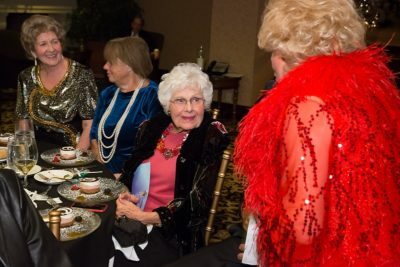 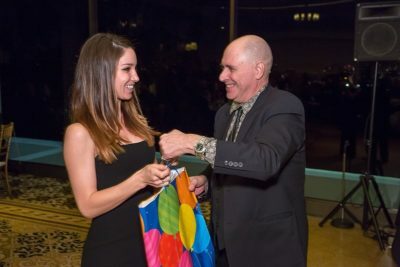 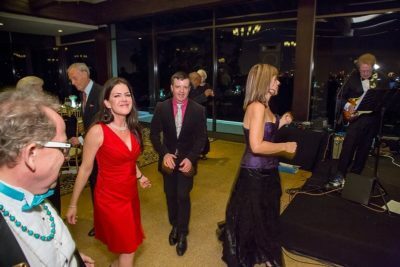 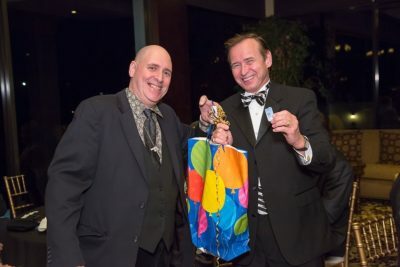 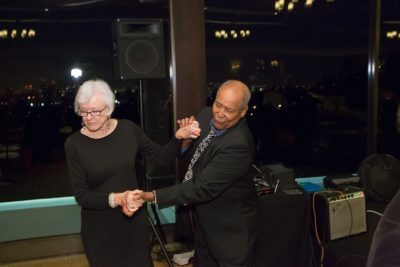 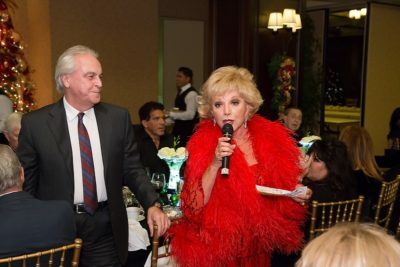 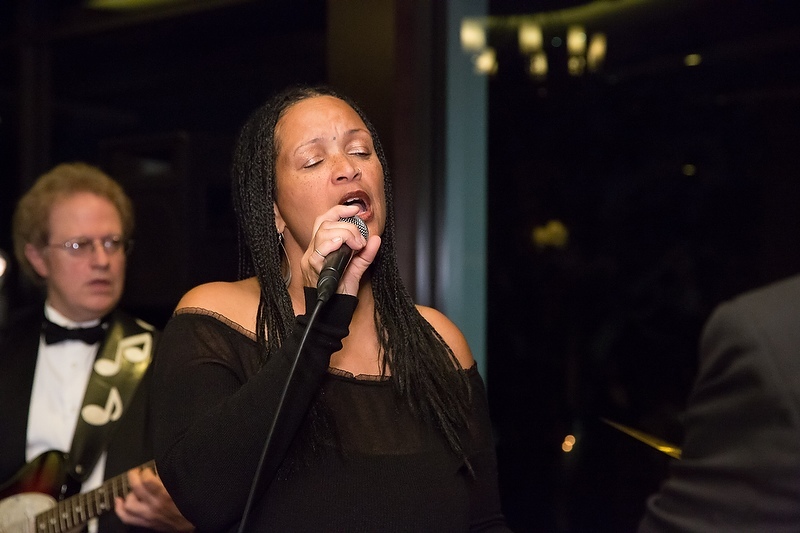 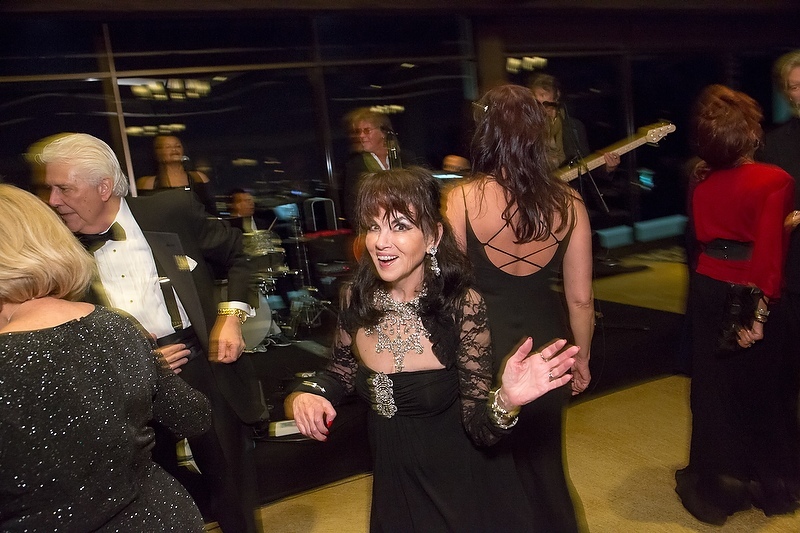 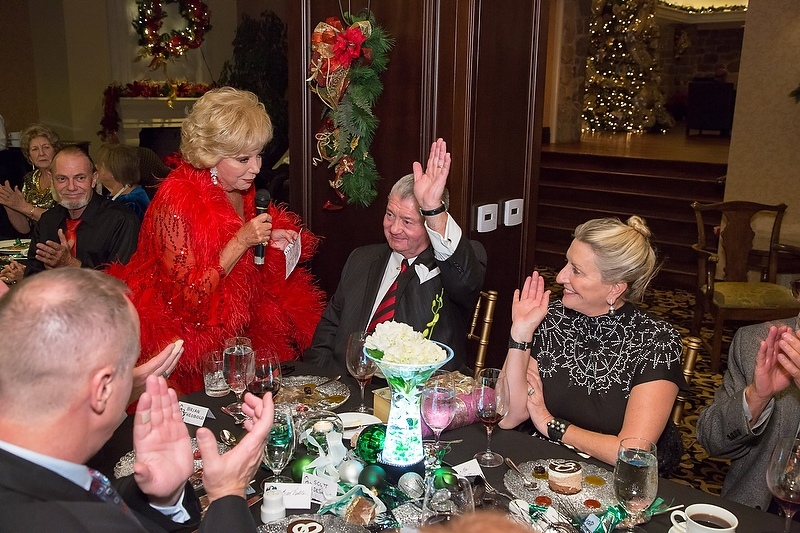 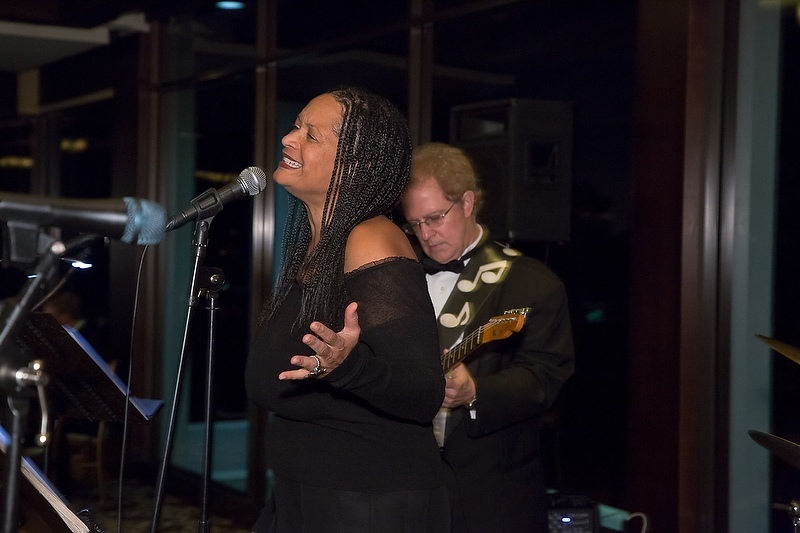 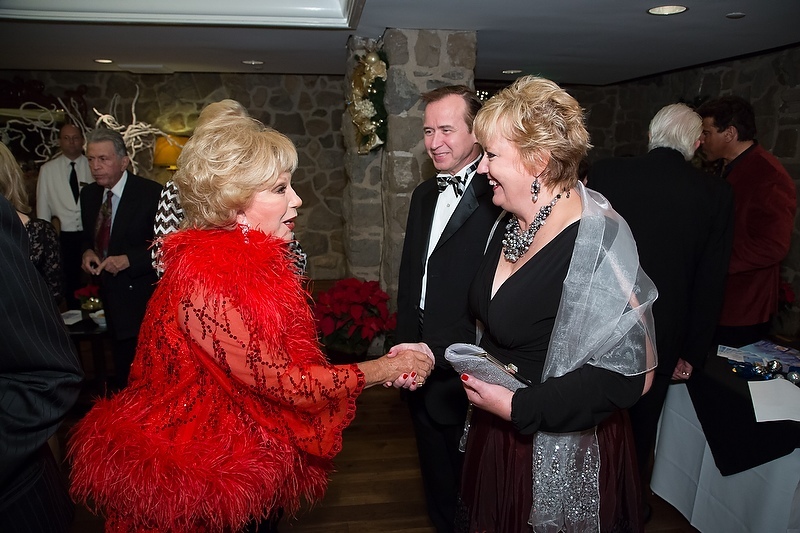 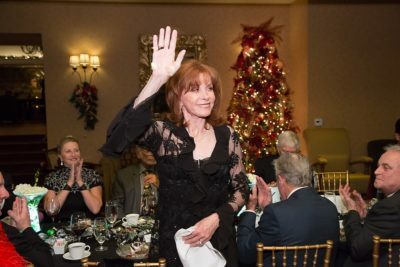 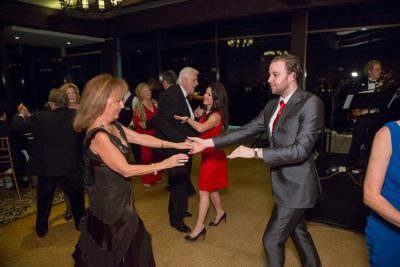 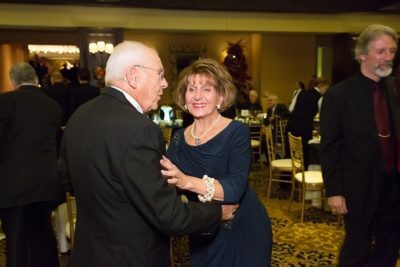 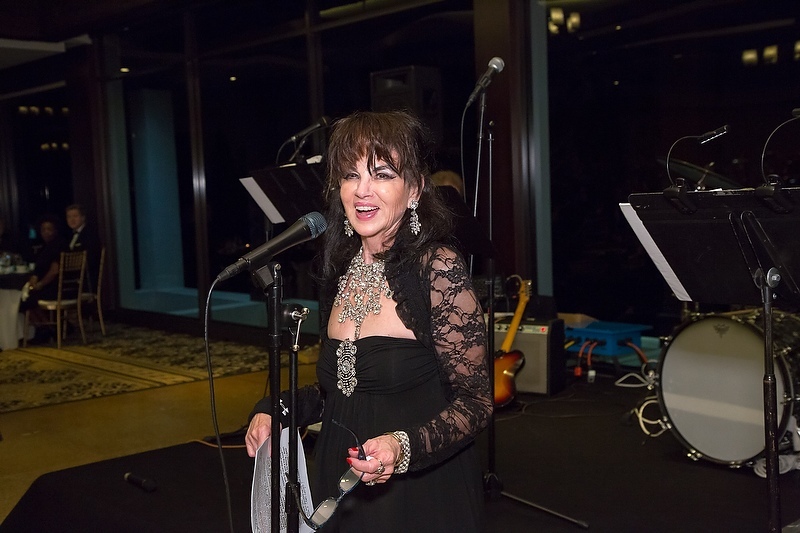 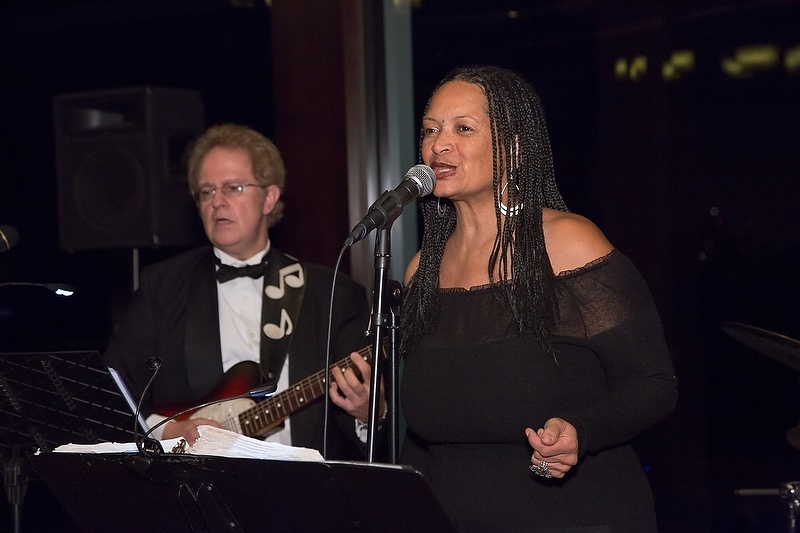 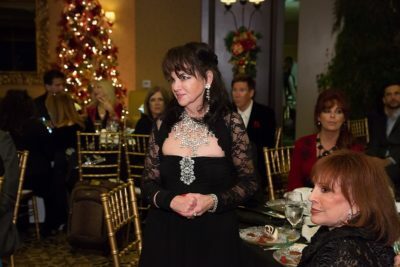 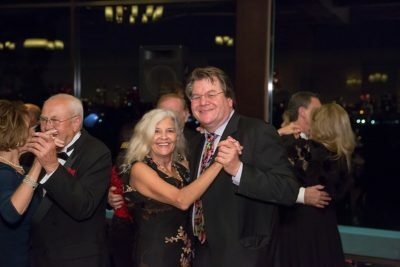 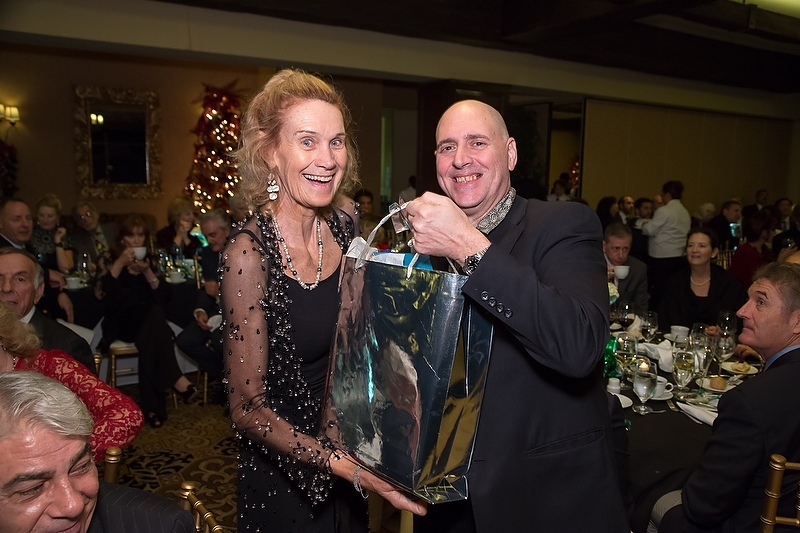 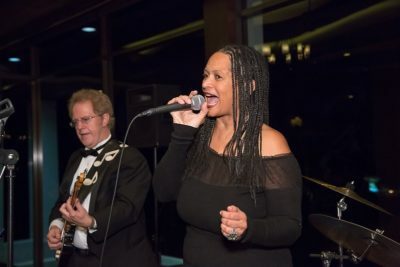 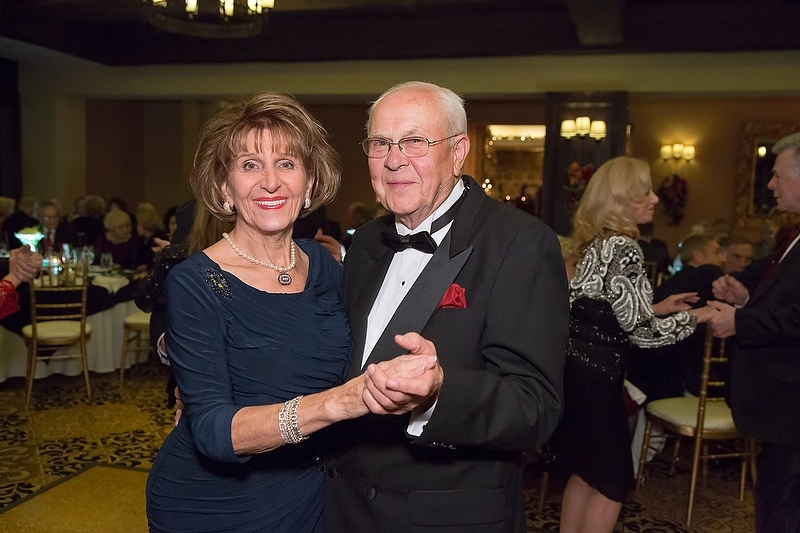 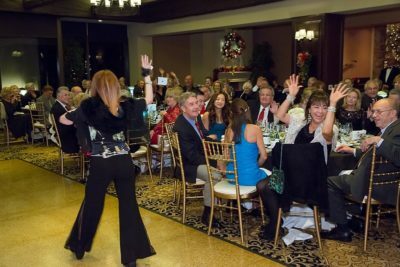 Once again, Barbara Cohen-Wolfe, long time Thalians Board Member and Event Chair orchestrated a spectacular evening of dining, dancing and entertainment. 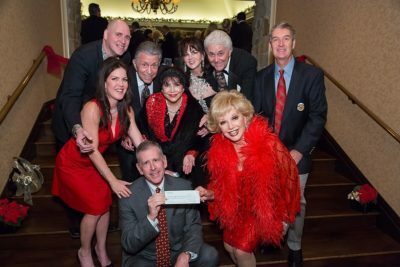 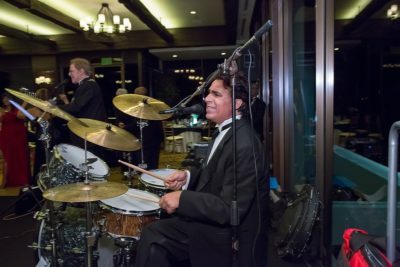 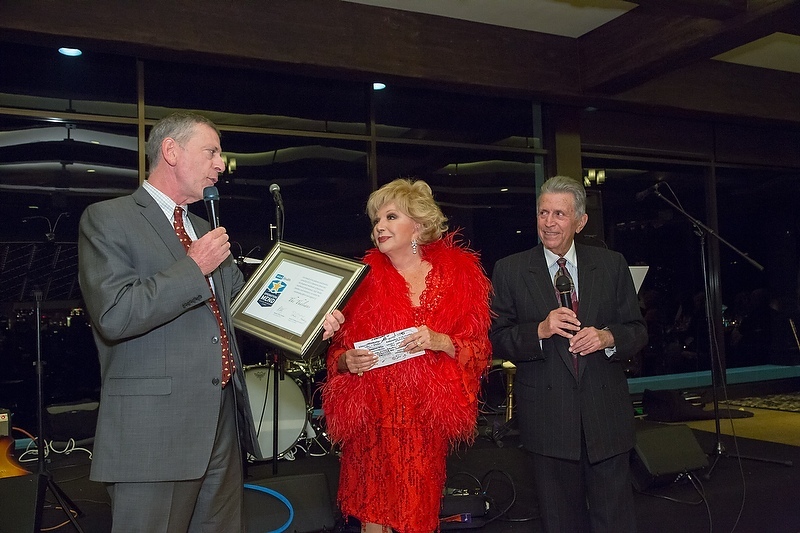 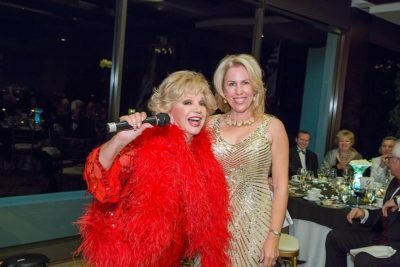 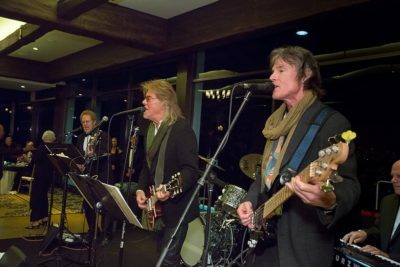 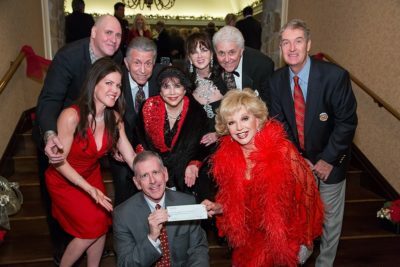 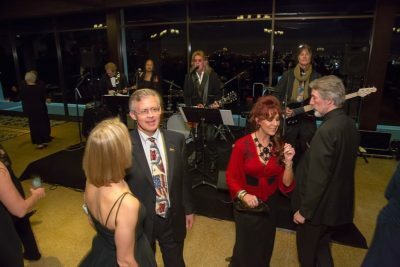 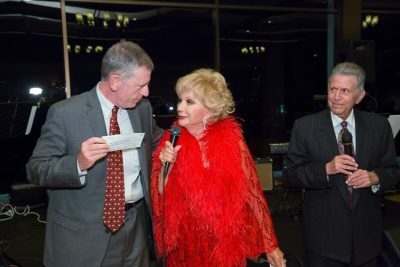 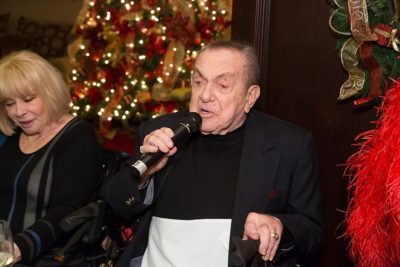 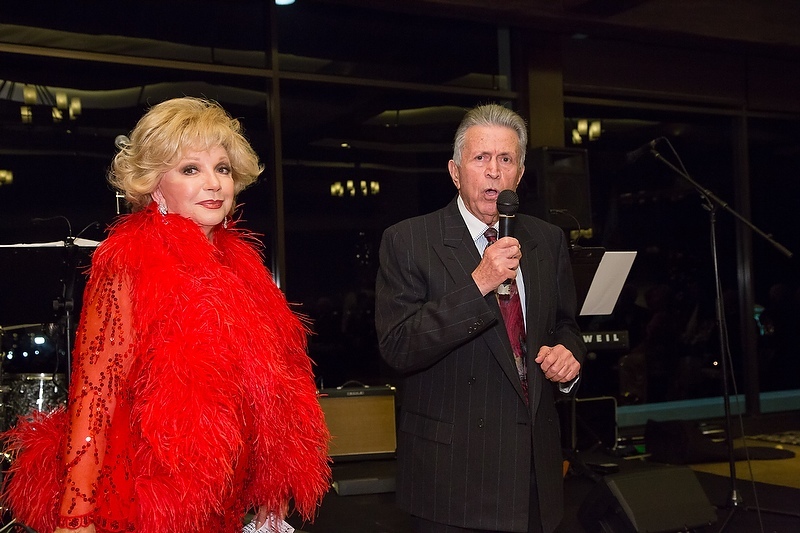 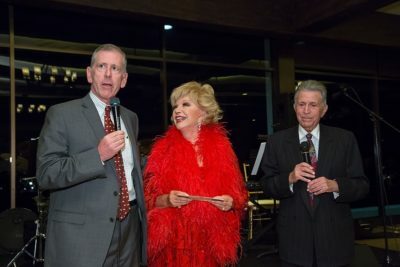 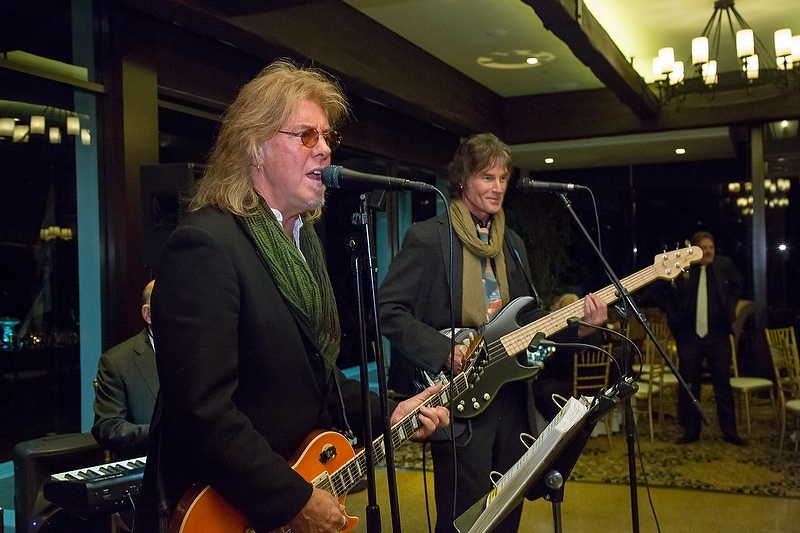 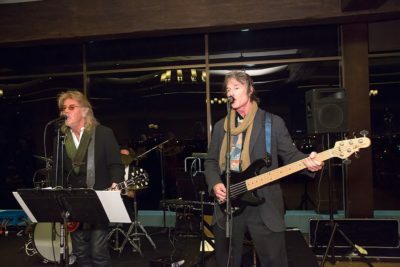 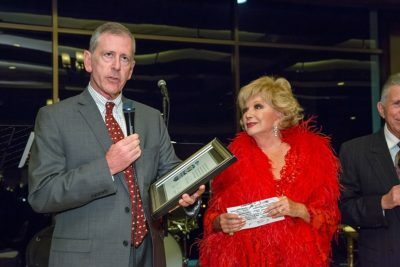 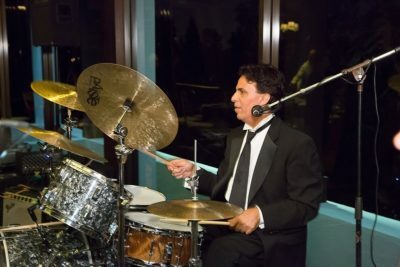 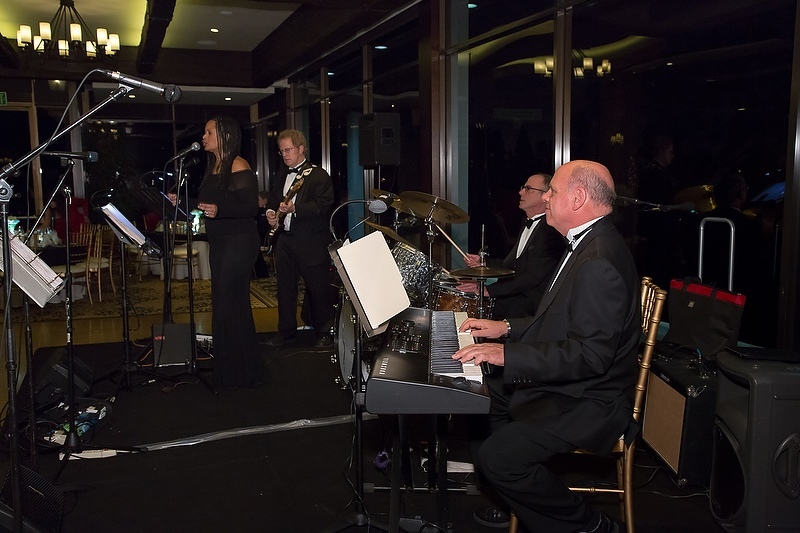 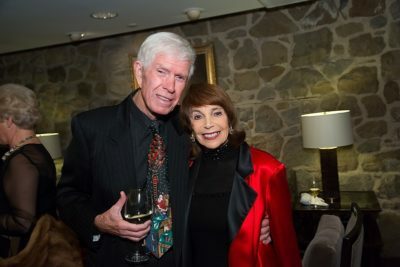 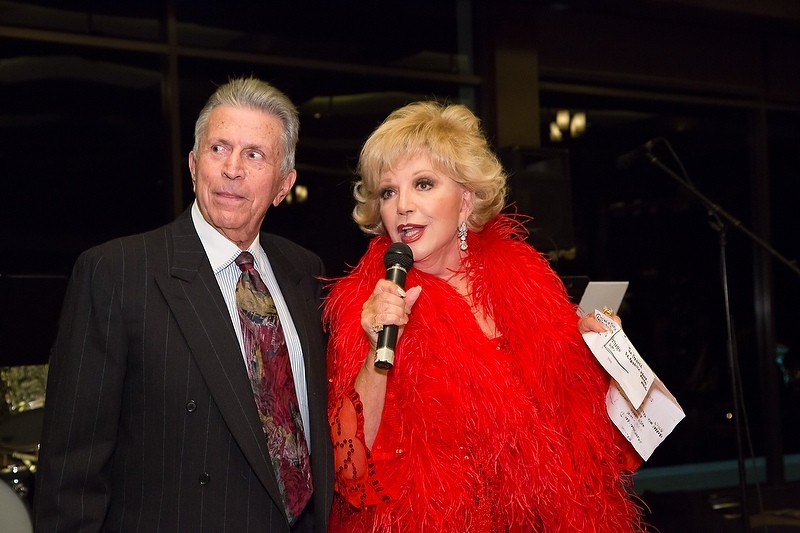 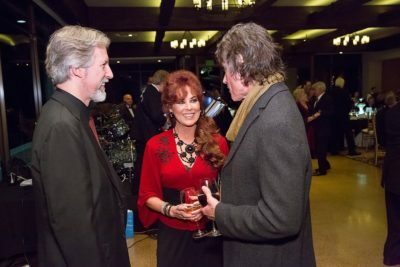 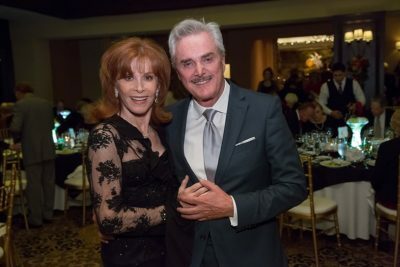 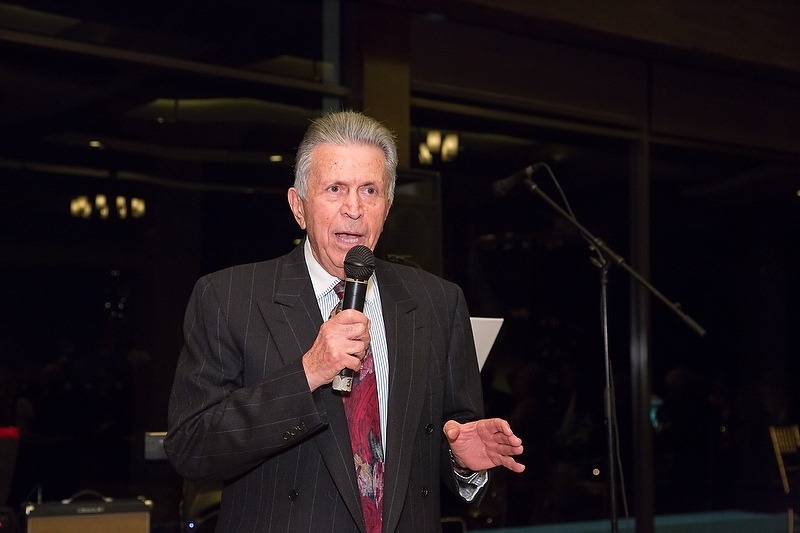 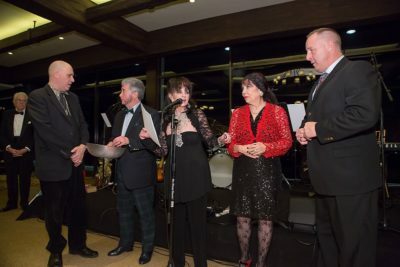 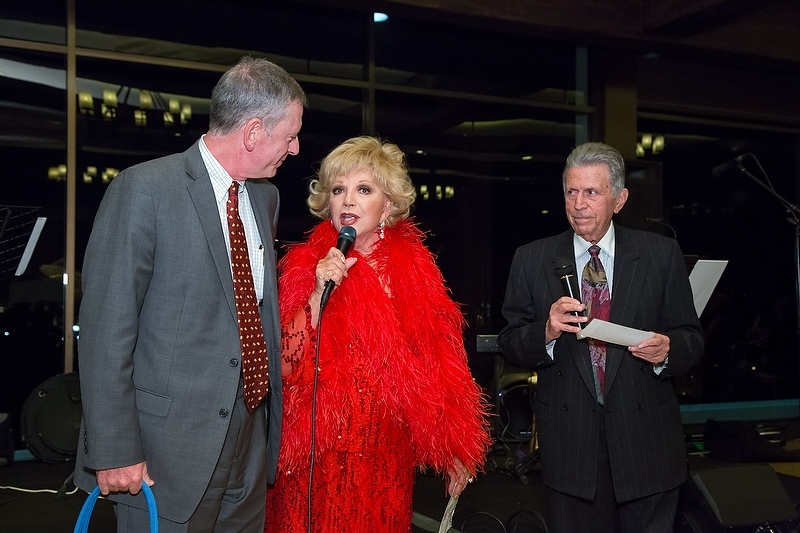 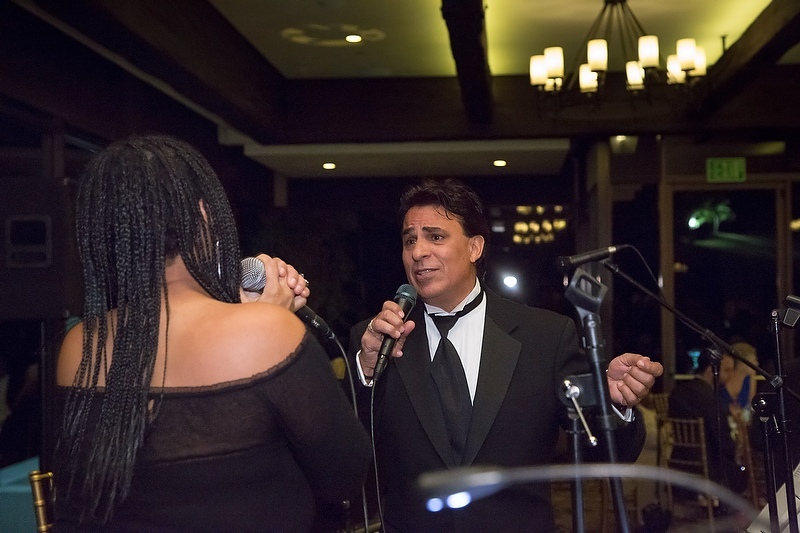 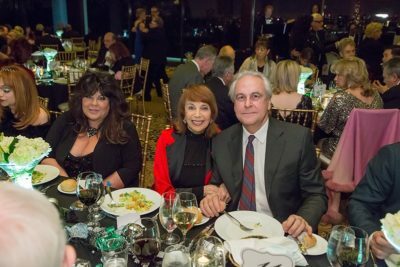 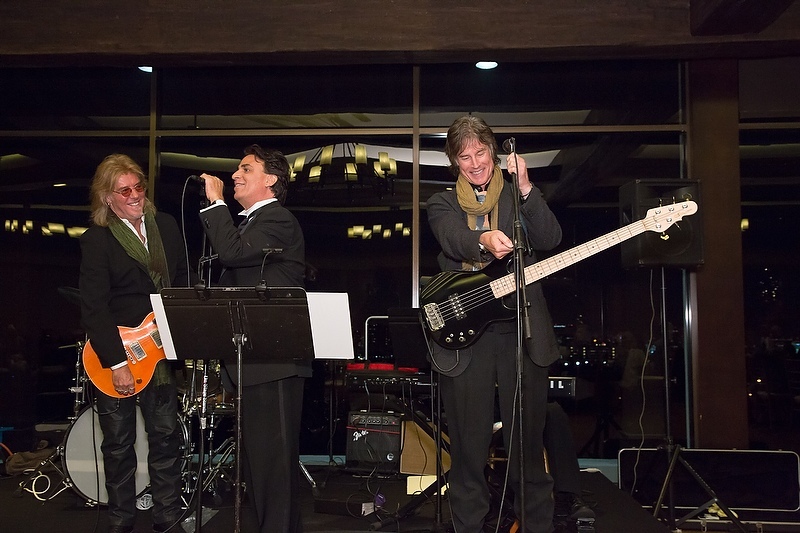 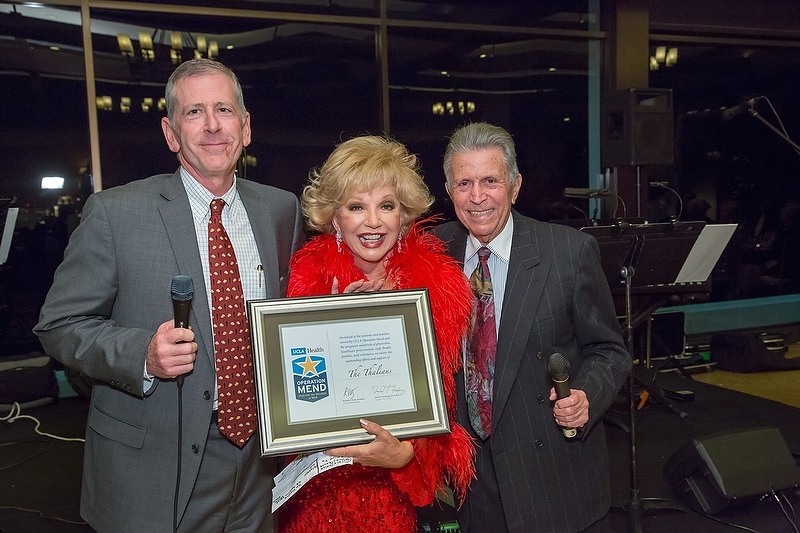 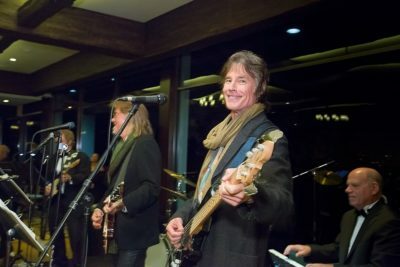 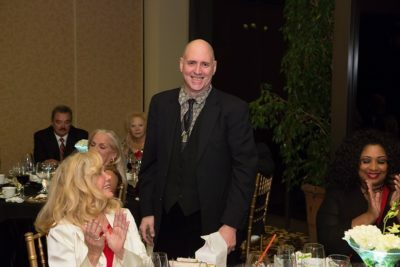 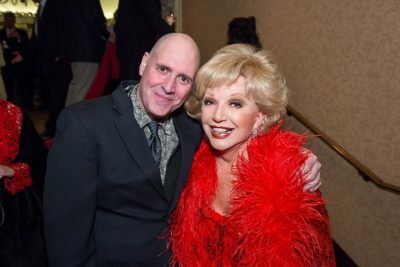 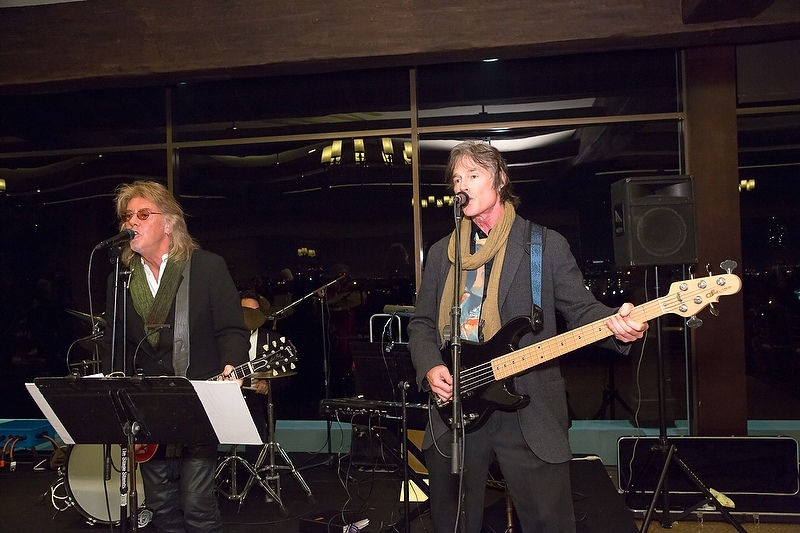 The Thalians continued their charitable endeavors; by presenting a $200,000 check to Dr. Thomas Strouse: supporting our wounded warriors through UCLA Operation Mend ….Guests enjoyed the wonderful vocals of Jimmy Carnelli, Angela Brown and the great band of top musicians. 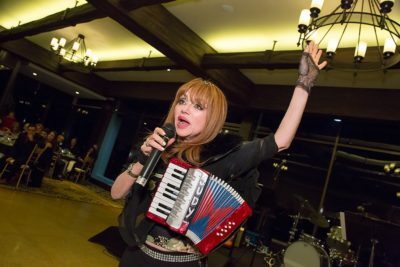 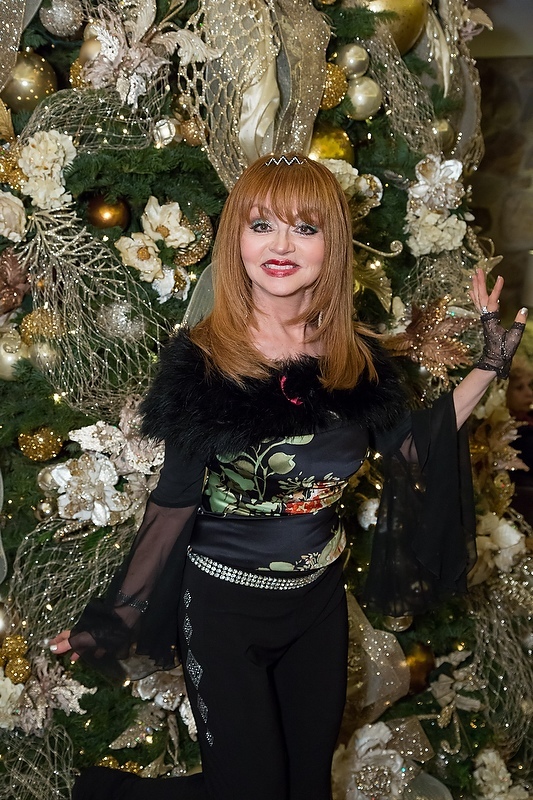 The evening was topped by an outstanding performance by Judy Tenuta the famous rock band “Player” (Peter Beckett and Ronn Moss), as well as the great Bobby Arvon. 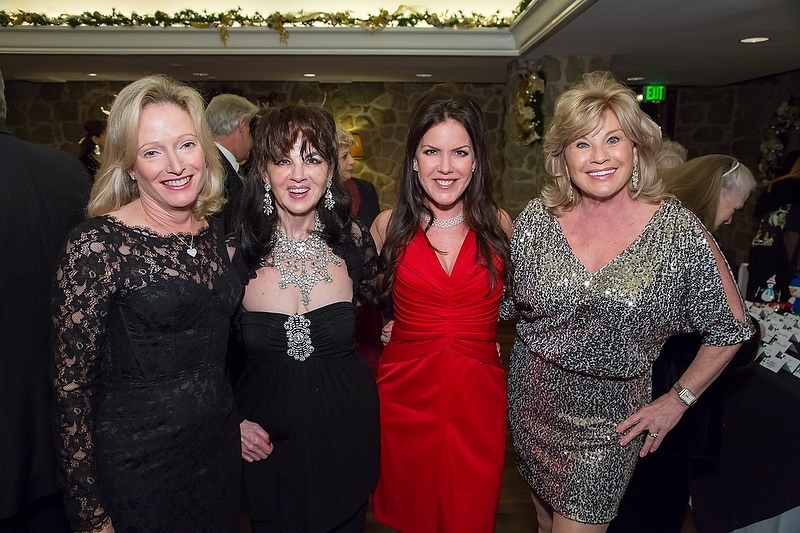 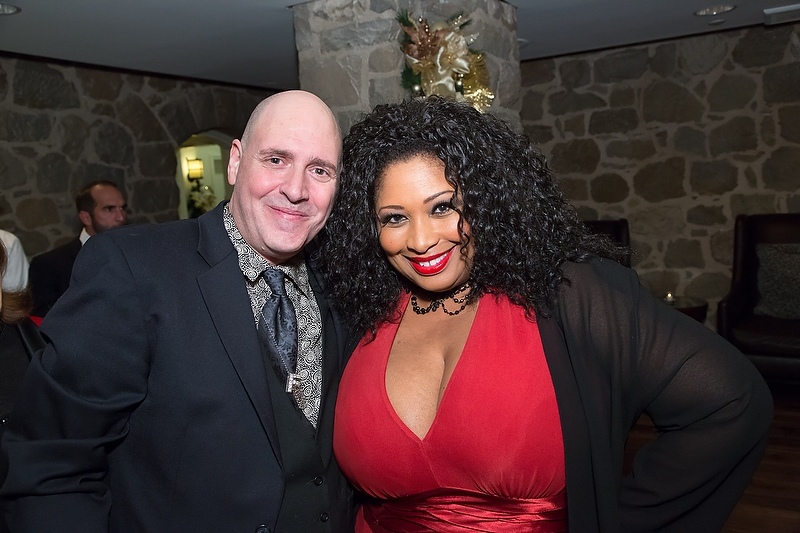 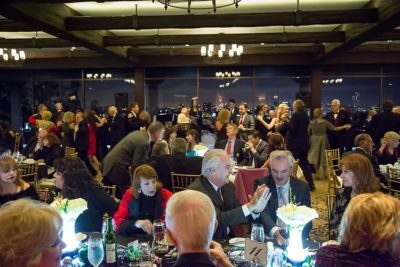 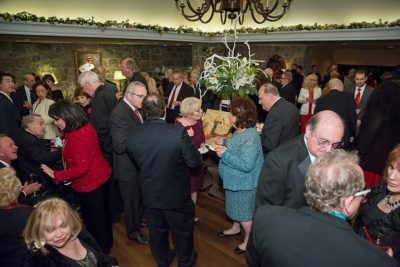 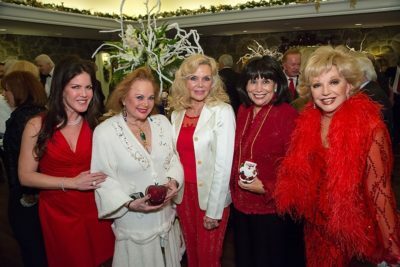 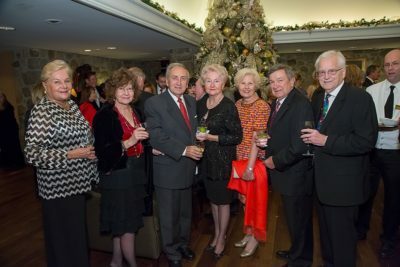 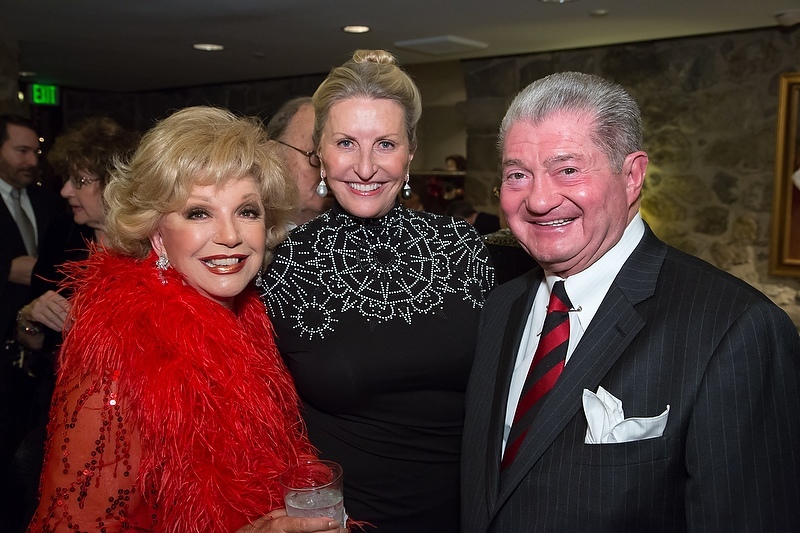 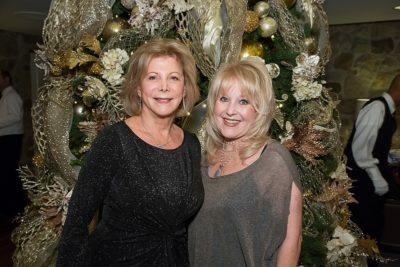 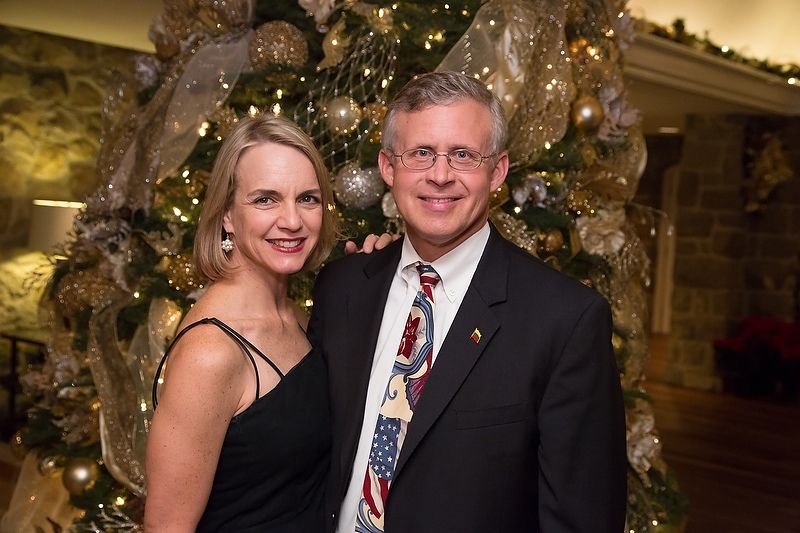 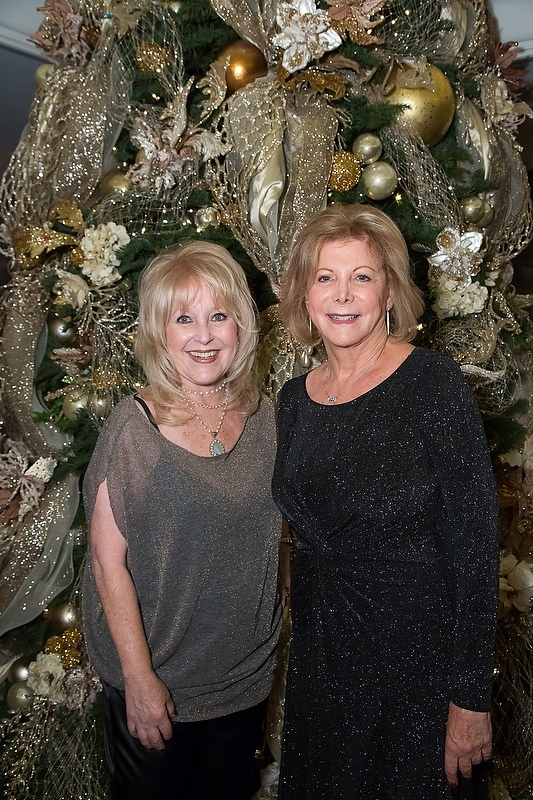 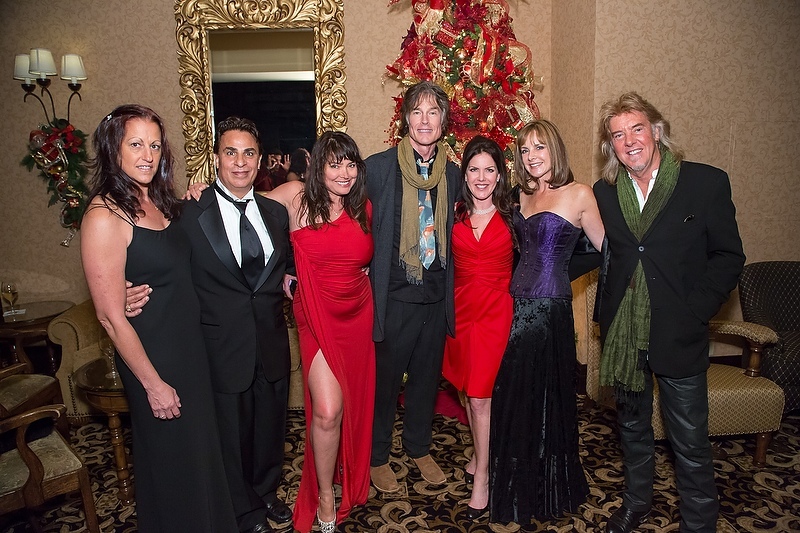 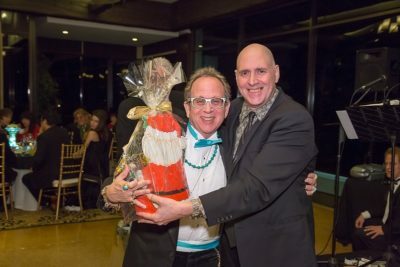 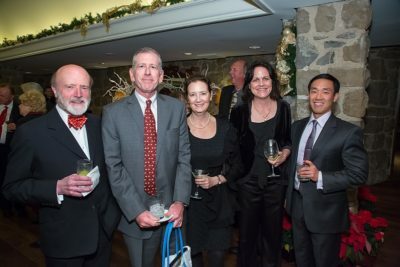 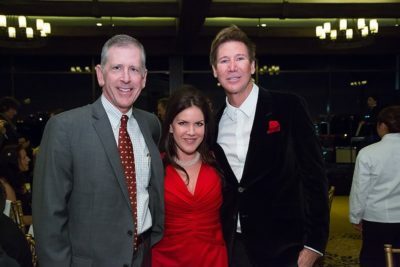 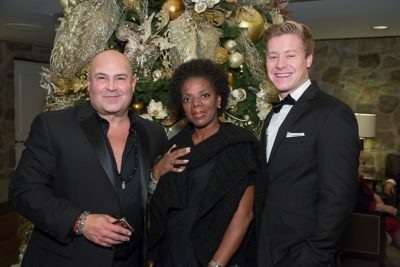 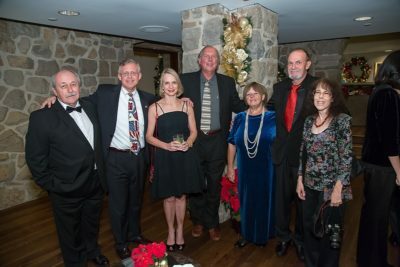 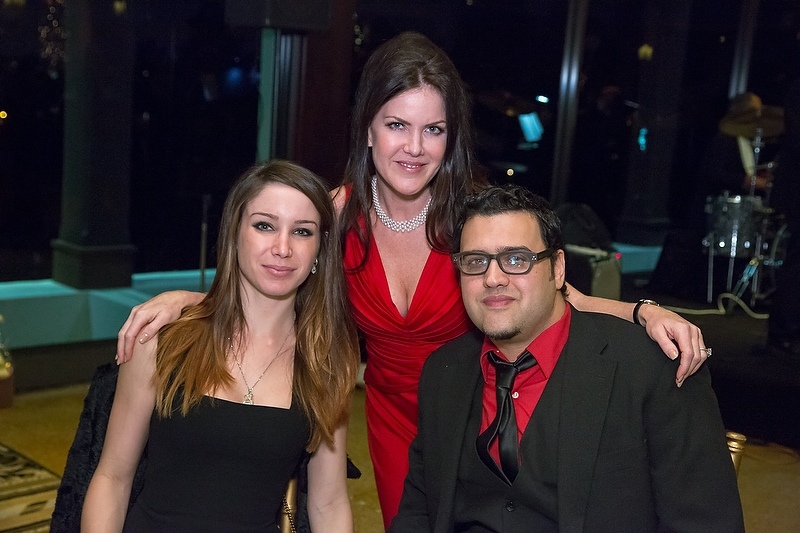 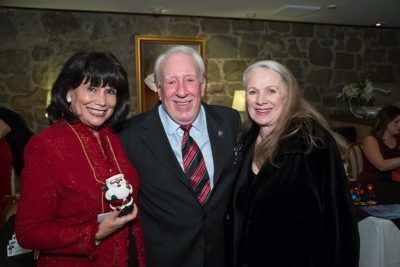 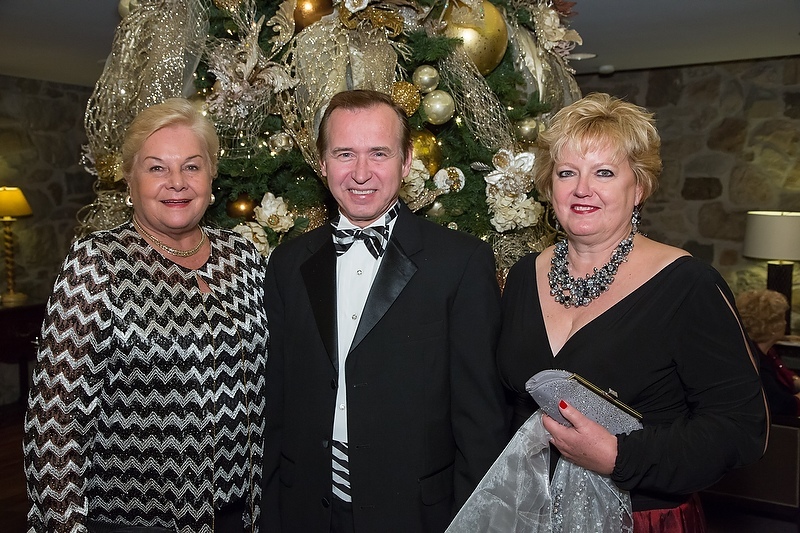 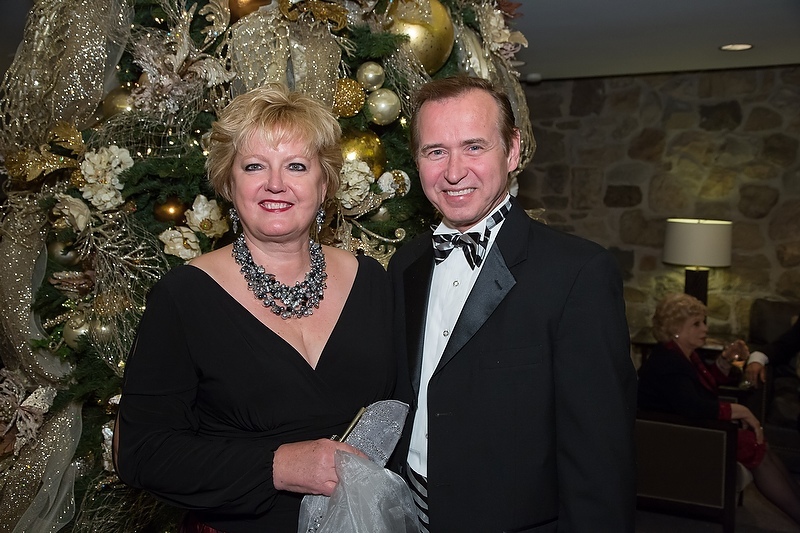 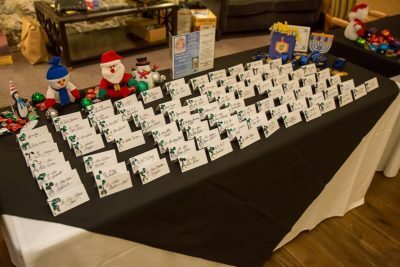 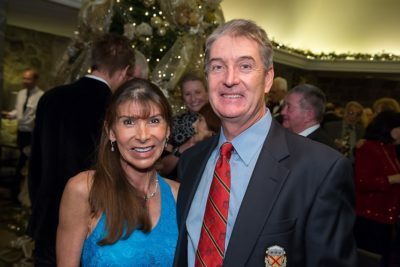 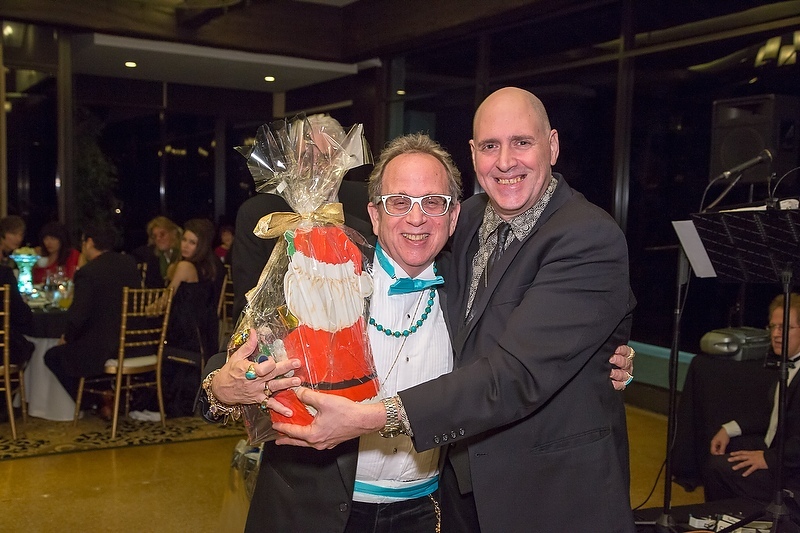 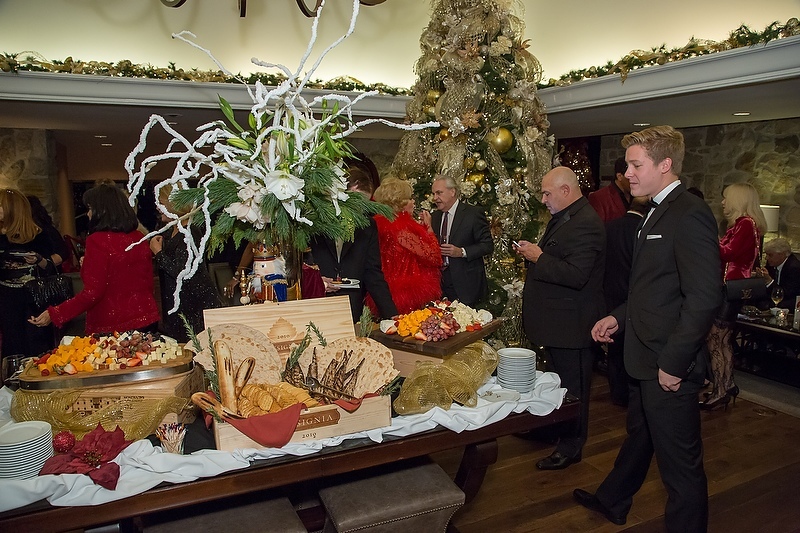 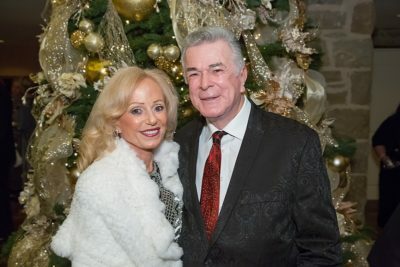 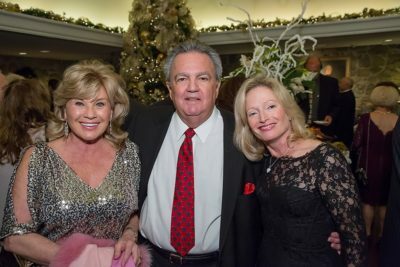 This was our most festive Holiday Party – and a fun and fabulous evening was had by all! 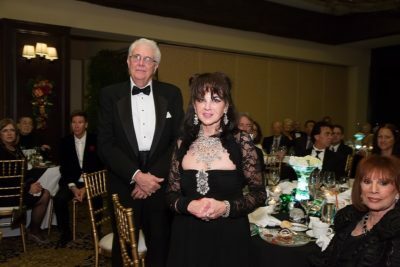 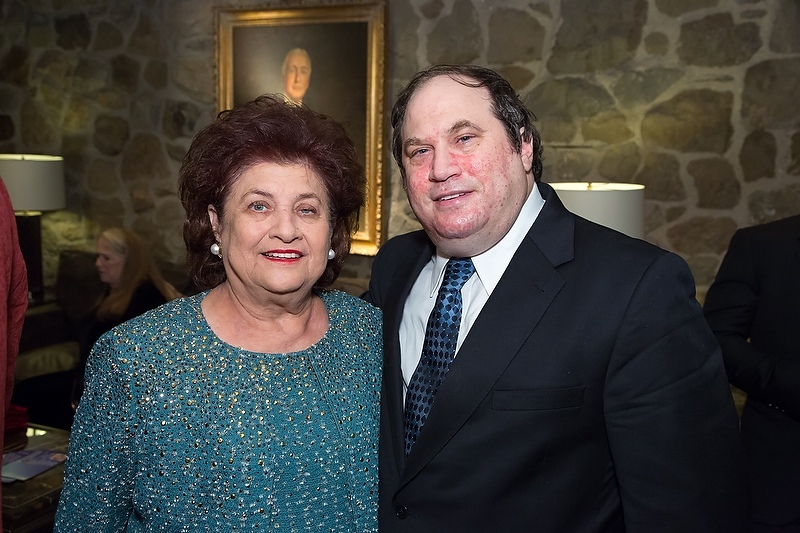 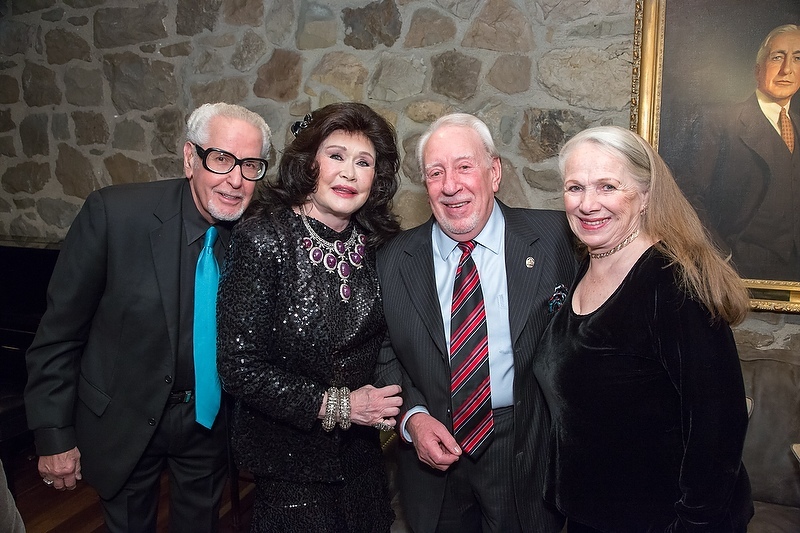 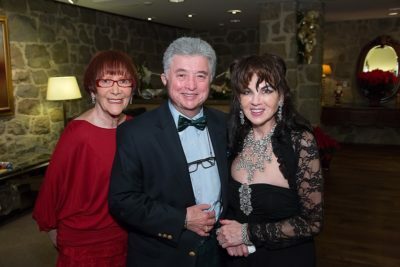 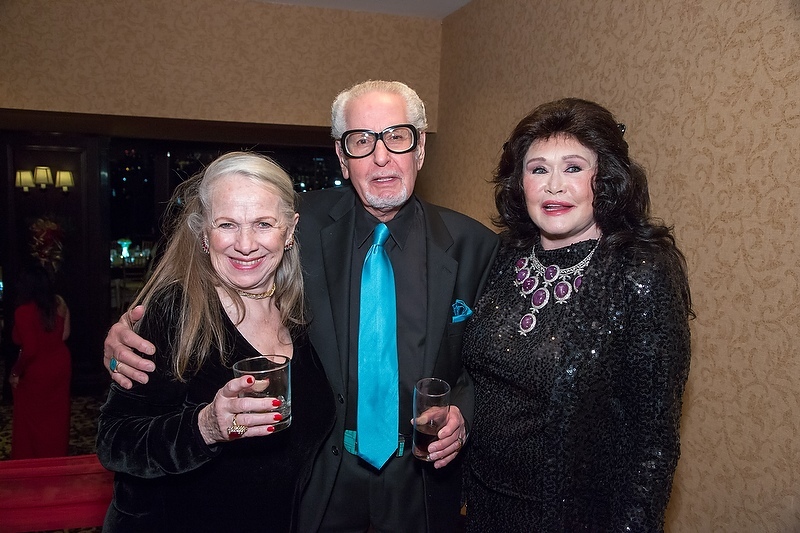 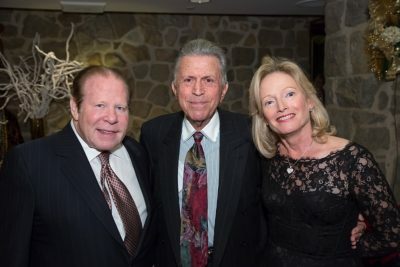 In addition to The Thalians Board Members, in attendance were Members of the Board of Trustees: Jackie Rosenberg, William & Patricia Anton and Dr. Lawrence Piro. 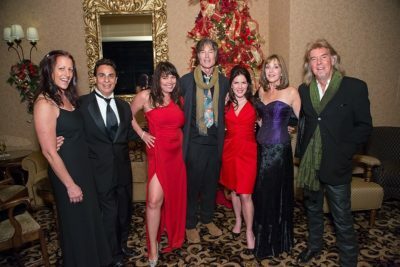 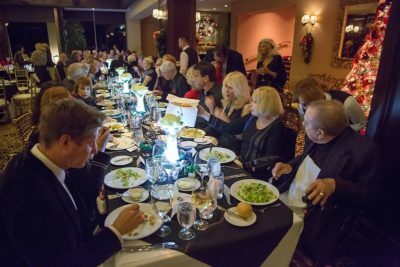 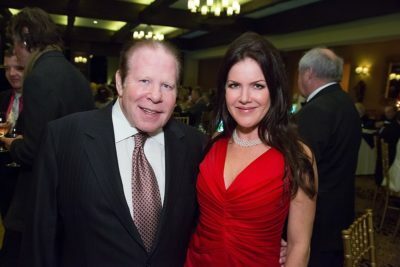 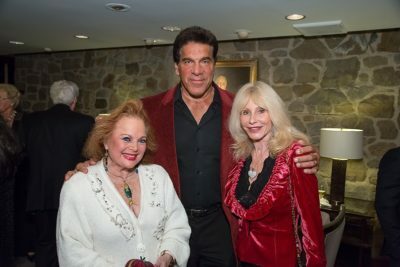 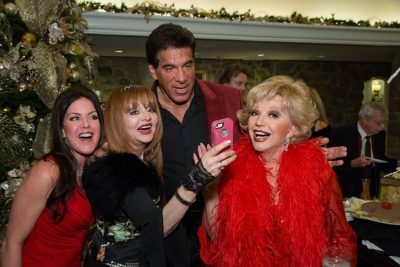 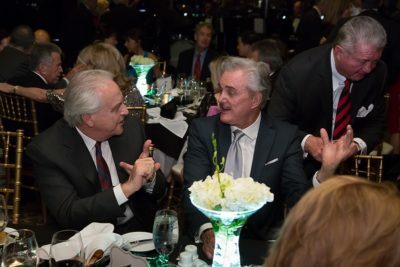 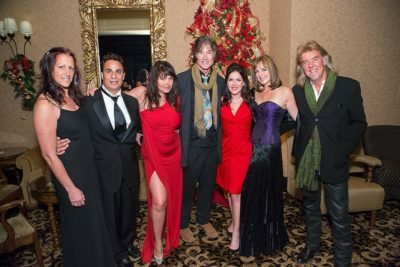 Among other distinguished and celebrity guests were: Jack Carter, Lou Ferrigno, Judy Tenuta, Stephanie Powers, Carol Connors, Ronn Moss & Peter Beckett (celebrity musical-rock stars/“Player”), Playmate/author Devin Devasquez-Moss, soap stars Kristos Andrews and Gregori J. Martin and representing UCLA Operation Mend “wounded warriors” former Capt. 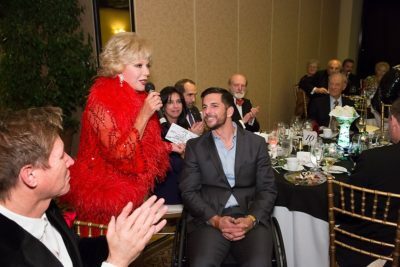 Derek Herrera and his guest former Marine Regan Turner. We were also honored with the presence of Daiva Navarette (Honorary Consul General of Lithuania) and Danguole Navickas (President of Lithuanian World Community). 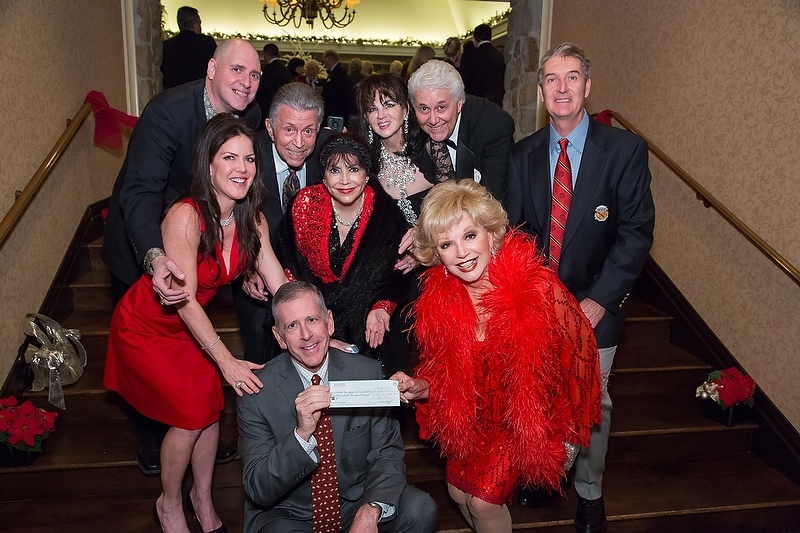 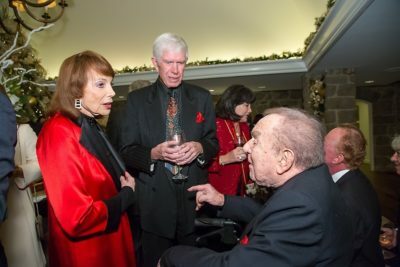 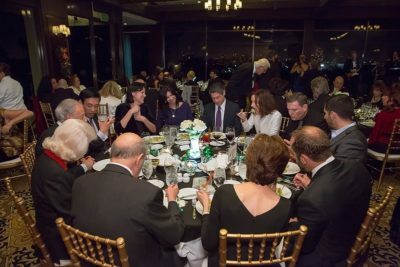 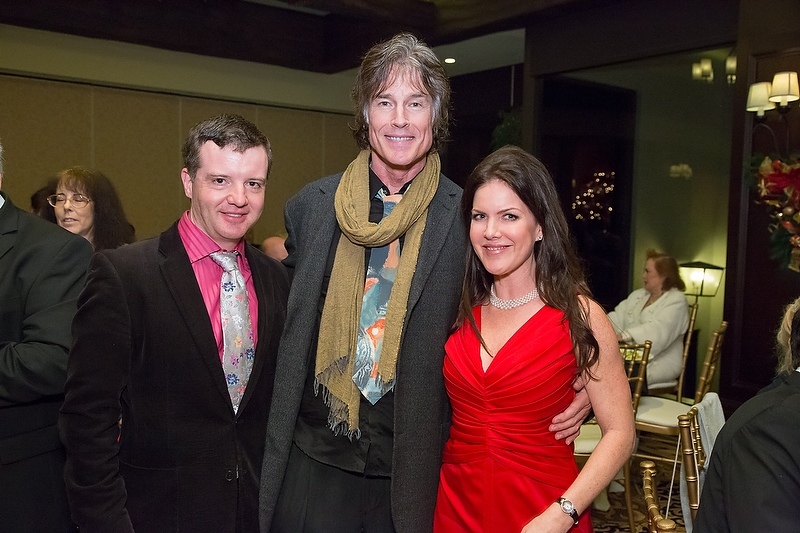 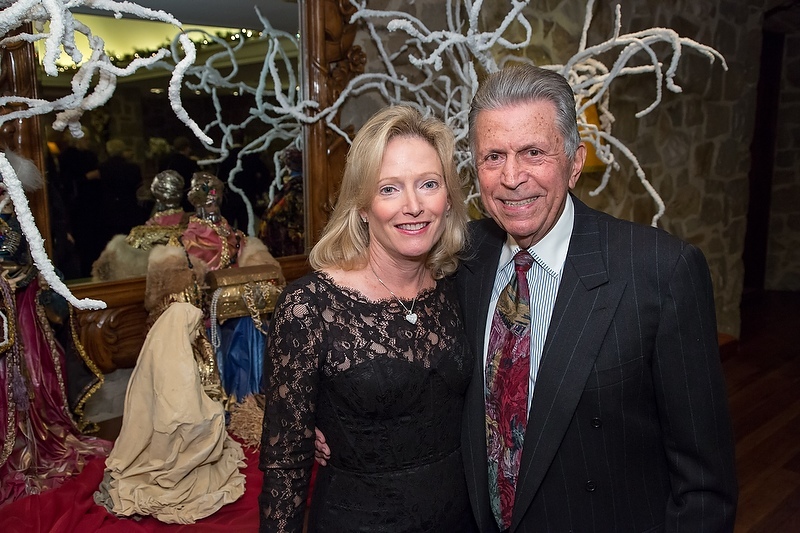 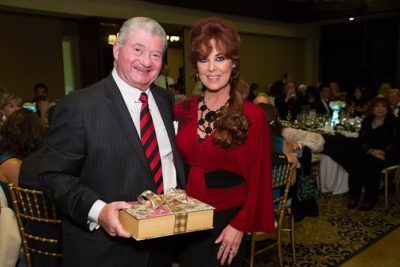 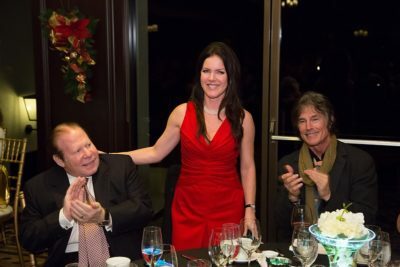 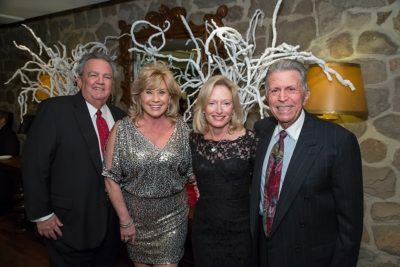 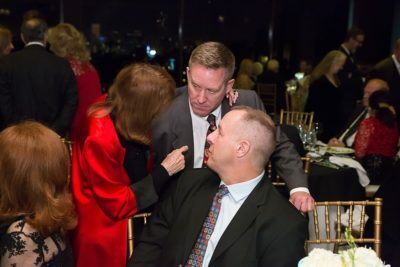 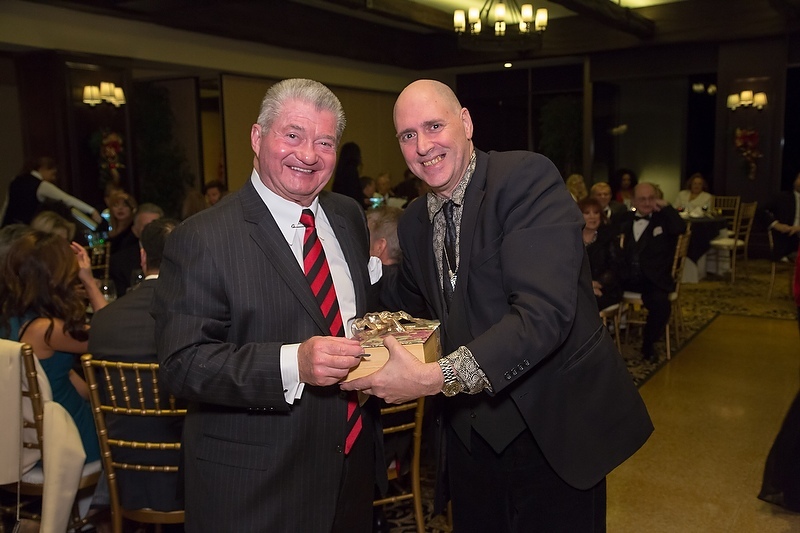 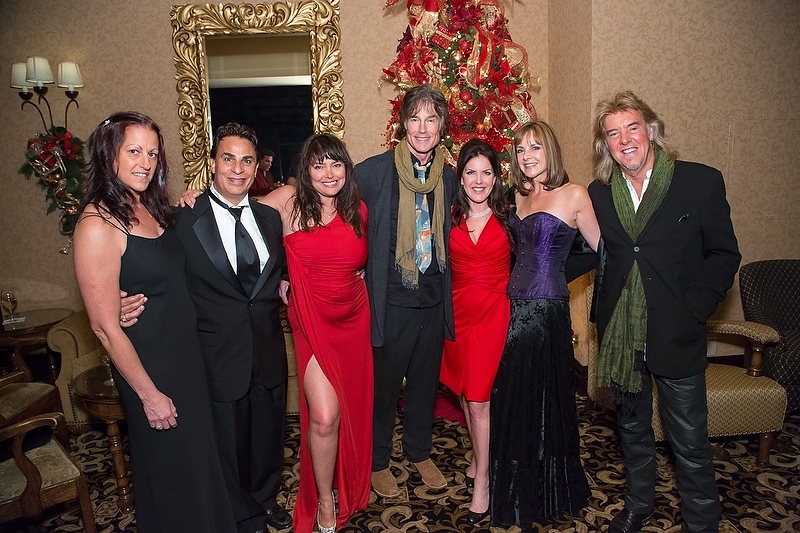 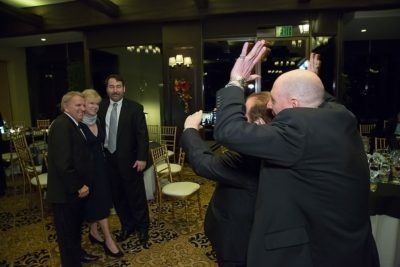 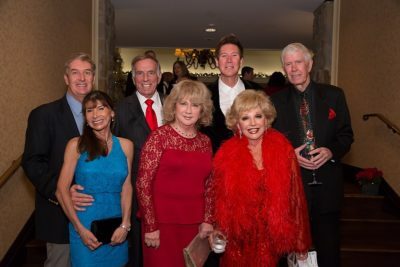 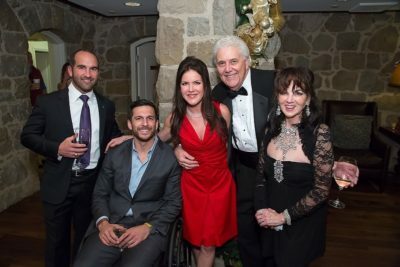 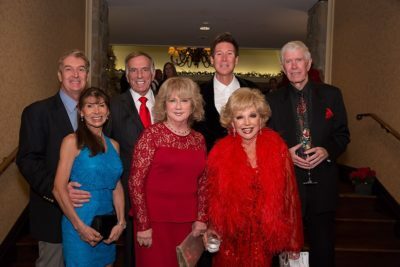 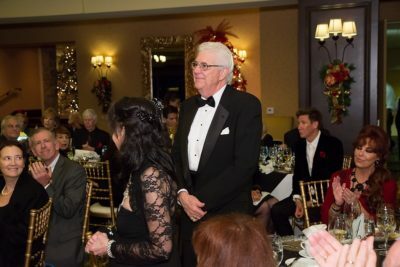 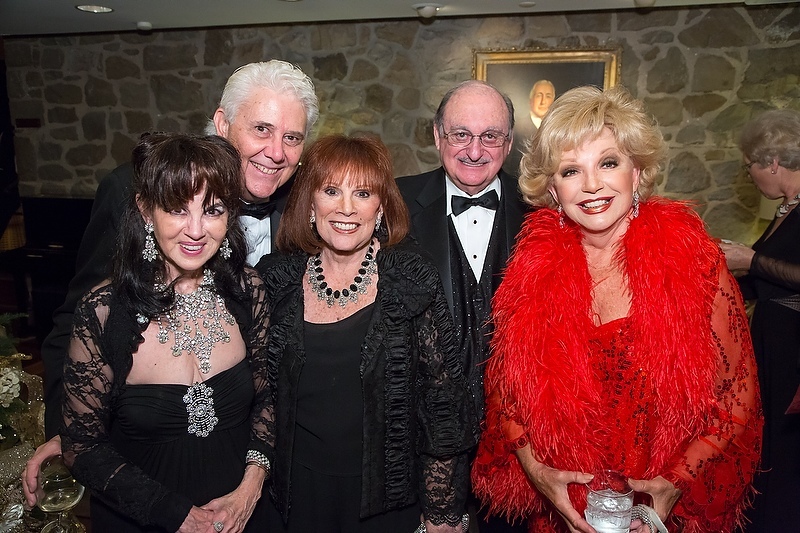 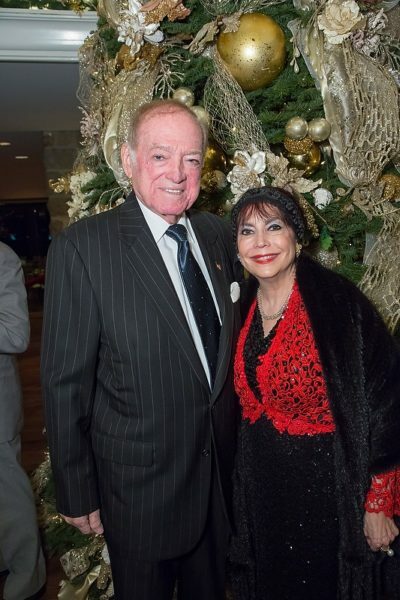 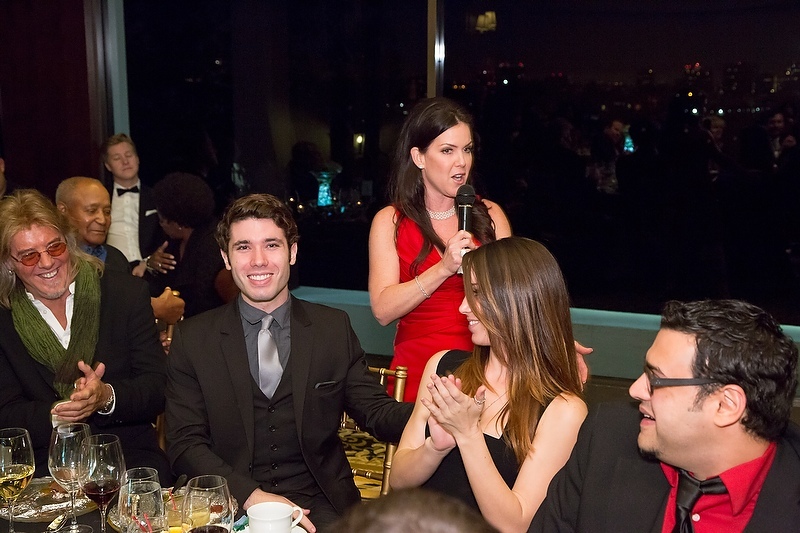 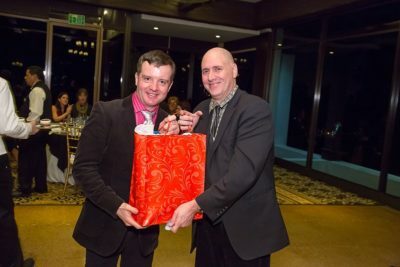 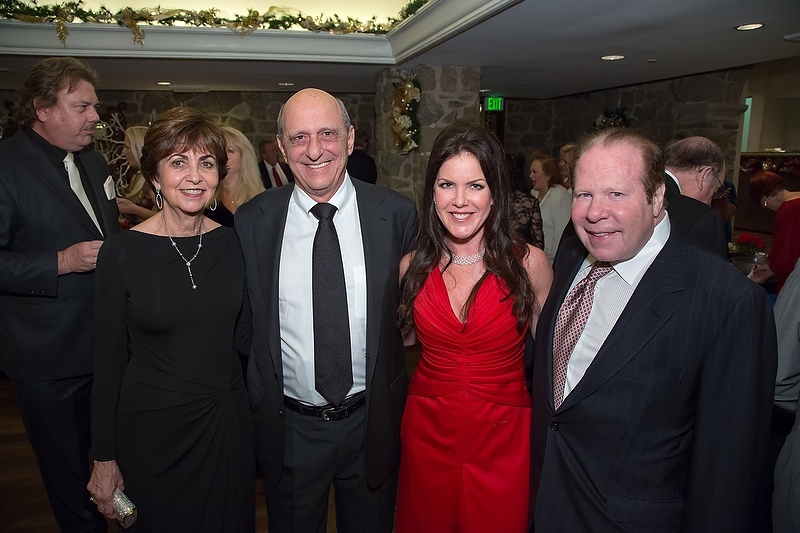 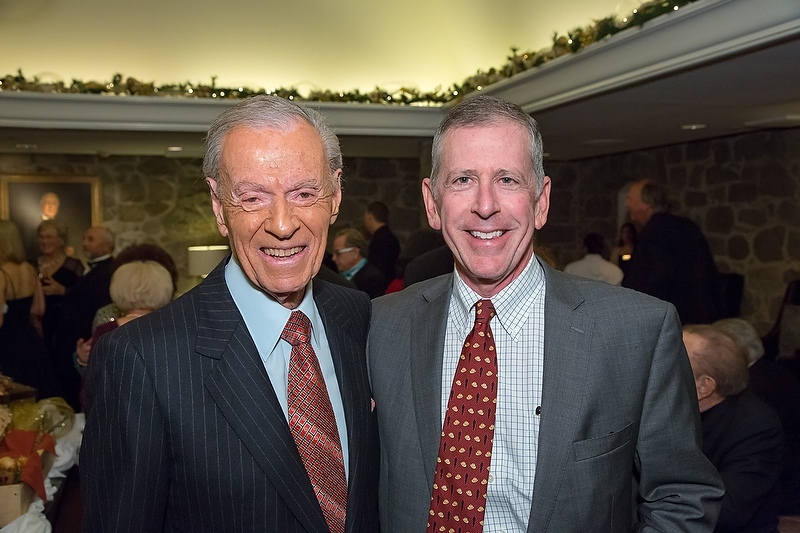 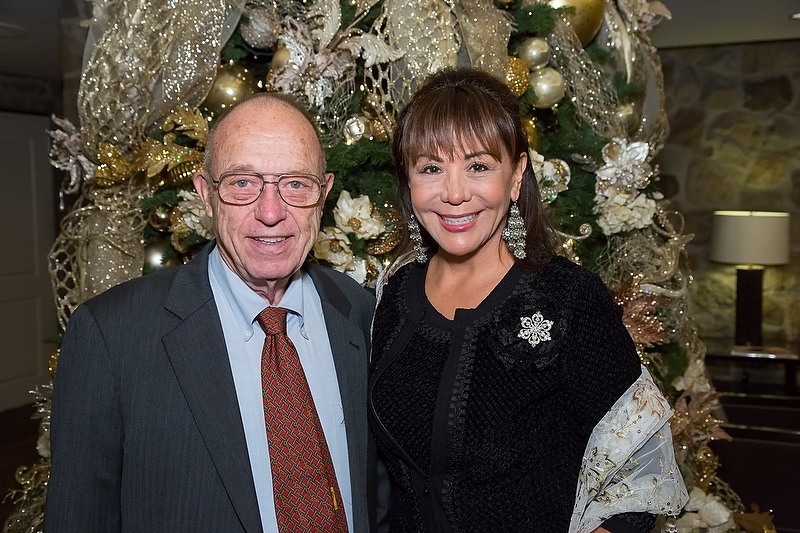 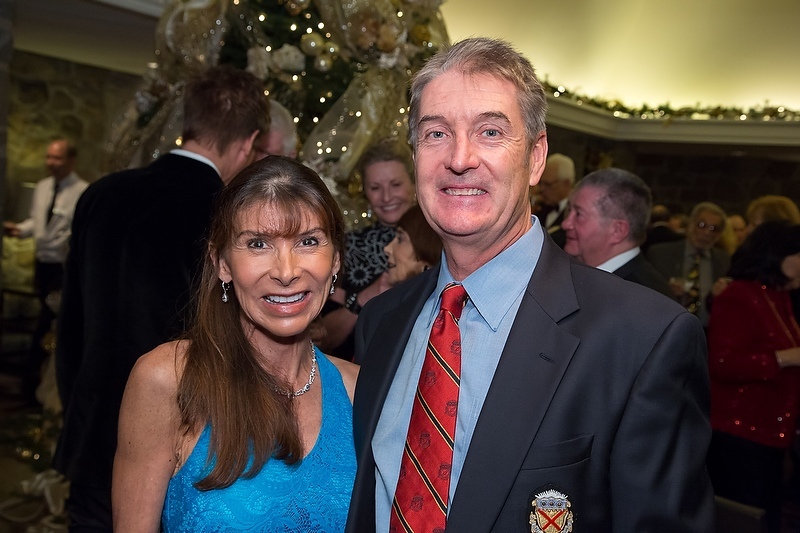 The Board of Directors; THE THALIANS, December 6, 2014 at the Thalians Holiday Dinner Dance at the Bel-Air Country Club – present their $200,000 gift to: Dr. Thomas Strouse, Director; UCLA’s Resnick Neuropsychiatric Hospital/UCLA Operation Mend: providing much-needed services for returning wounded warriors. 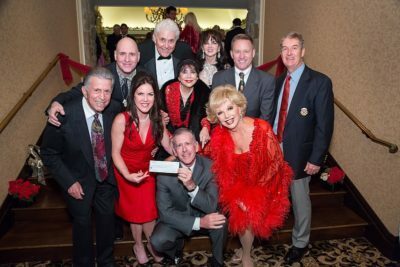 The Thalians wish everyone a Happy Holiday Season and a happy, healthy New Year…and in the spirit of giving – if you would like to help The Thalians and UCLA Operation Mend, please click here for your tax deductible donation. 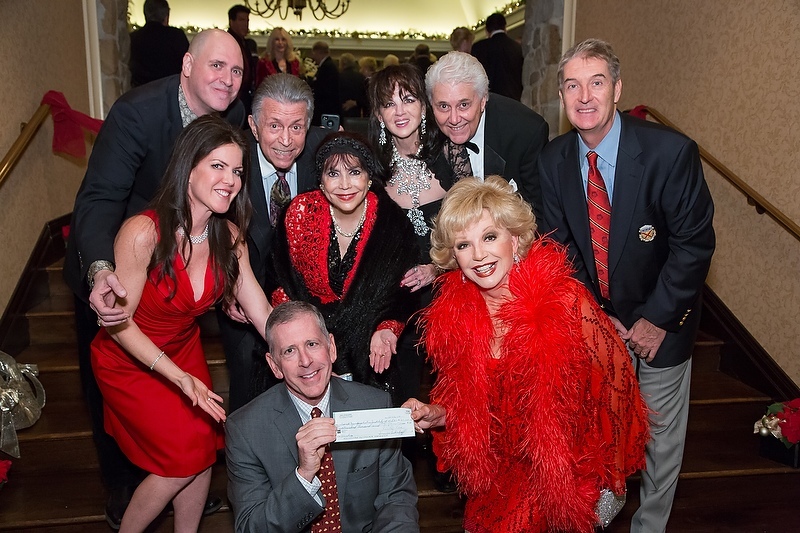 Your generosity is much appreciated by The Thalians and the “wounded warriors” of UCLA Operation Mend! 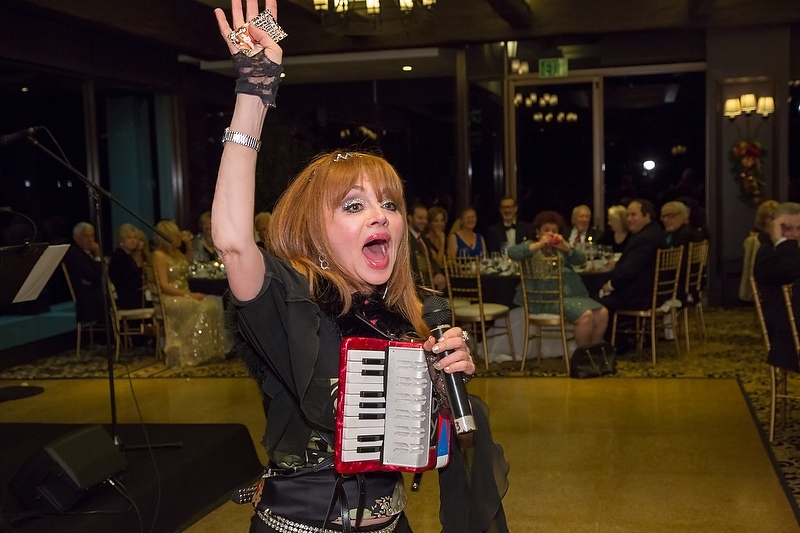 As well as: Jack Carter, Judy Tenuta, Bobby Arvon. 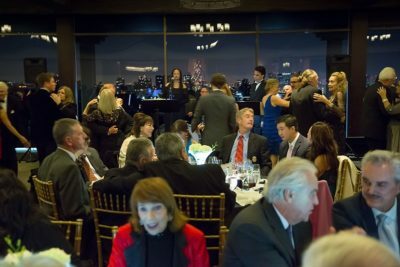 CLICK HERE if you’d like to purchase prints of any of the photos below.